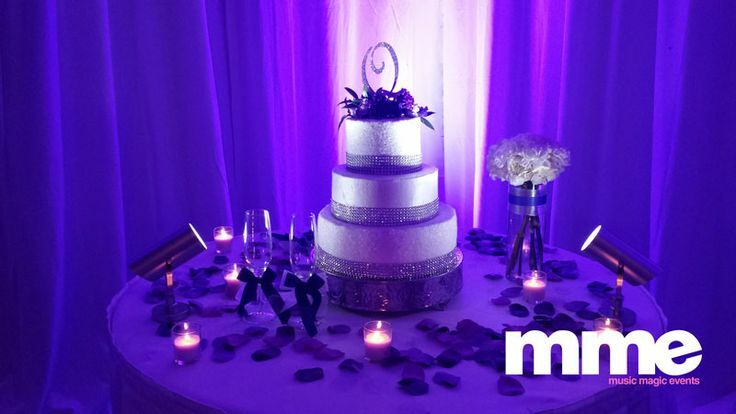 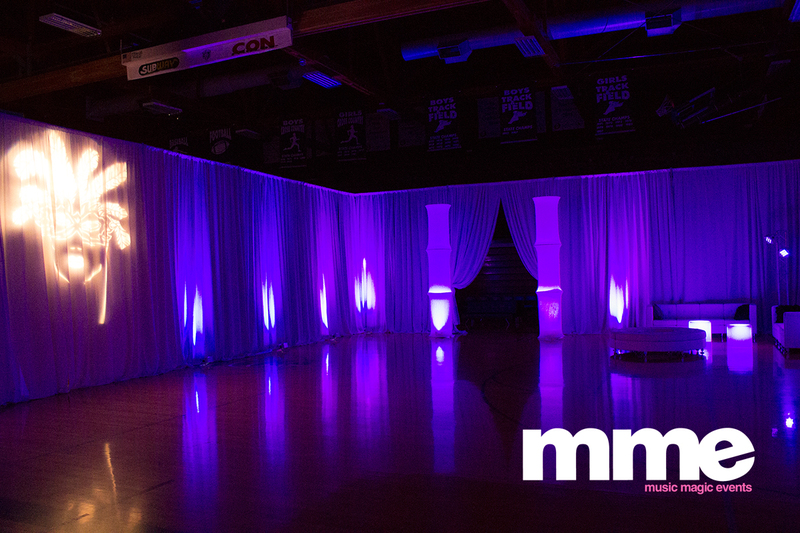 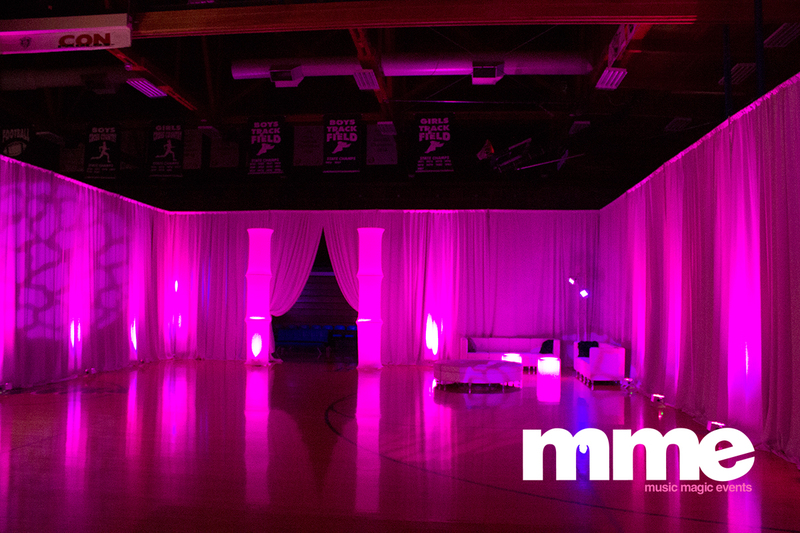 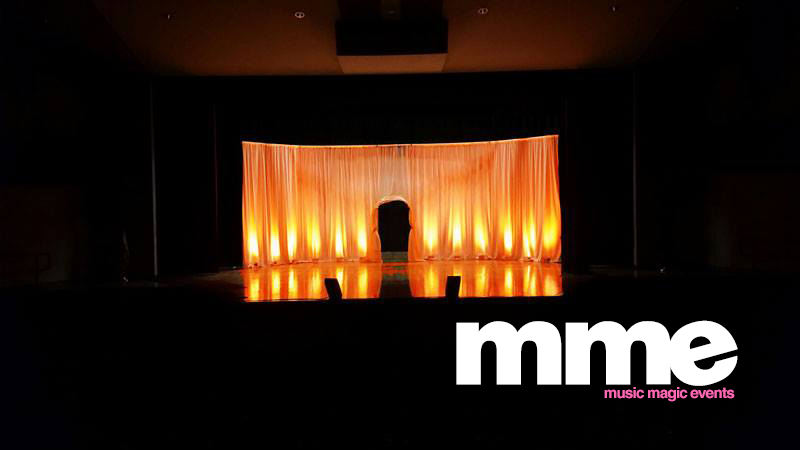 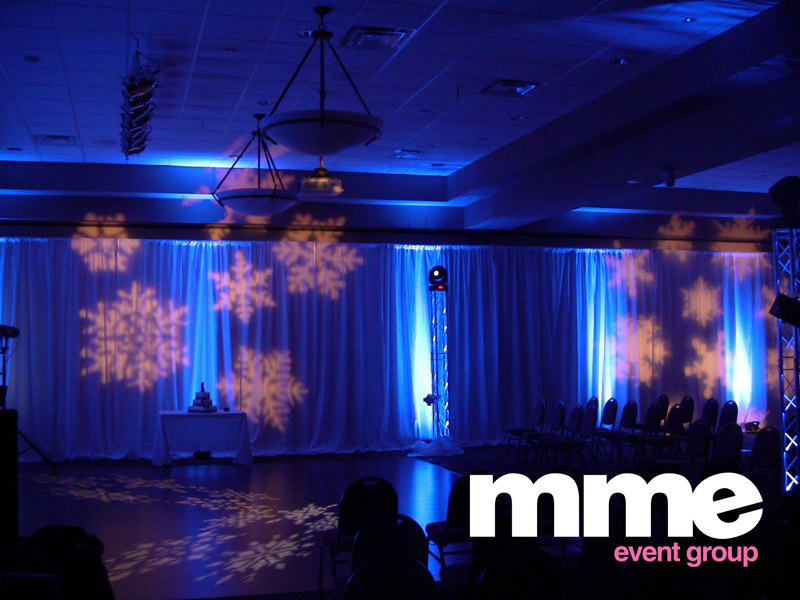 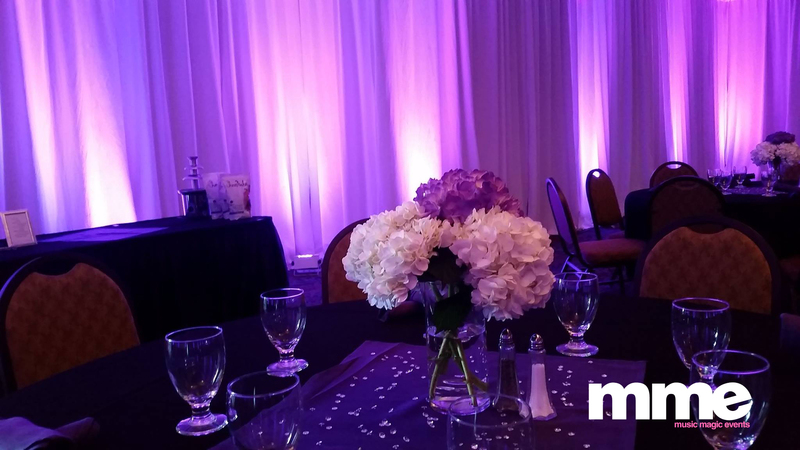 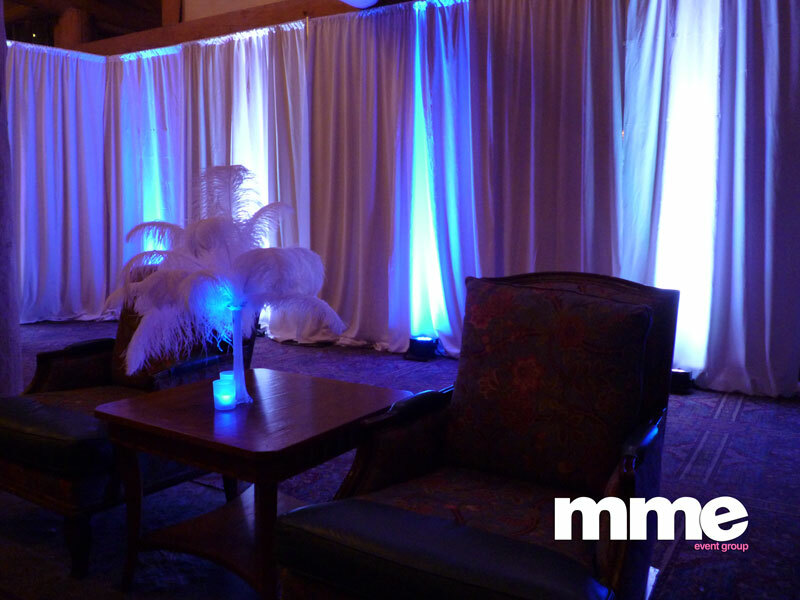 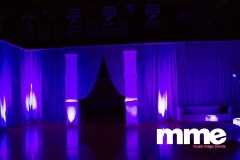 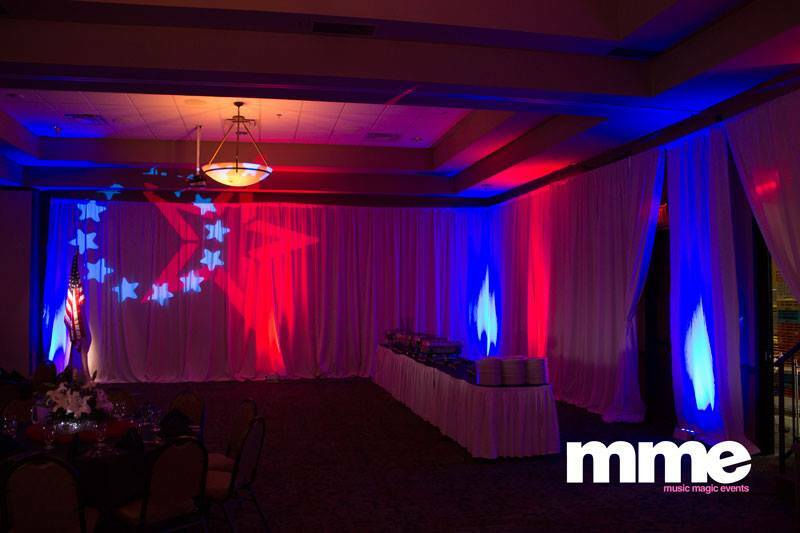 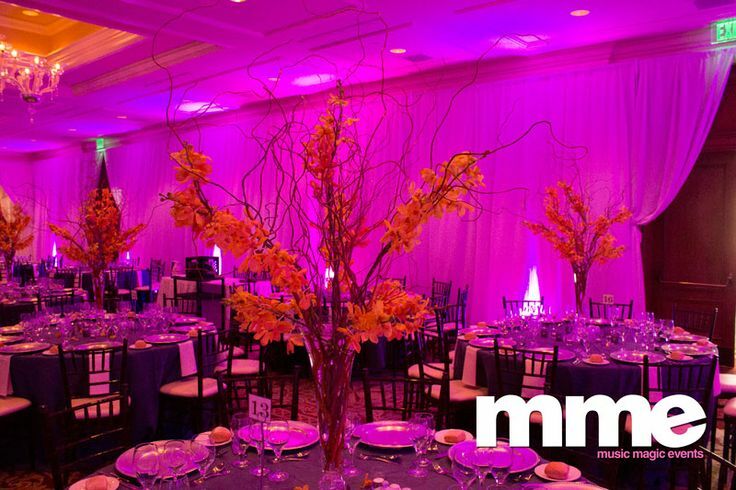 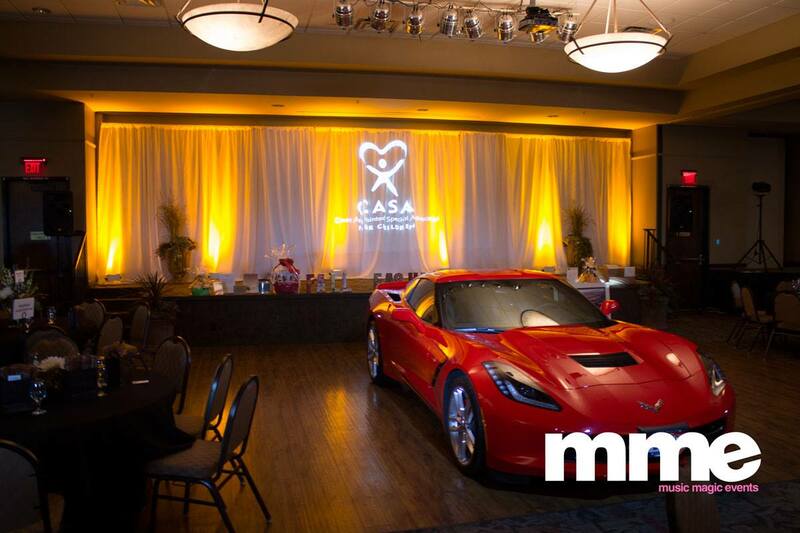 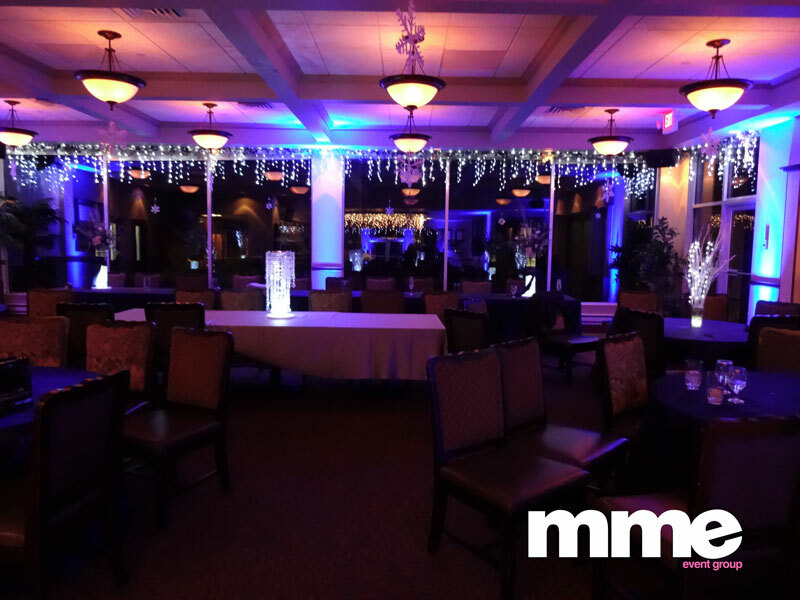 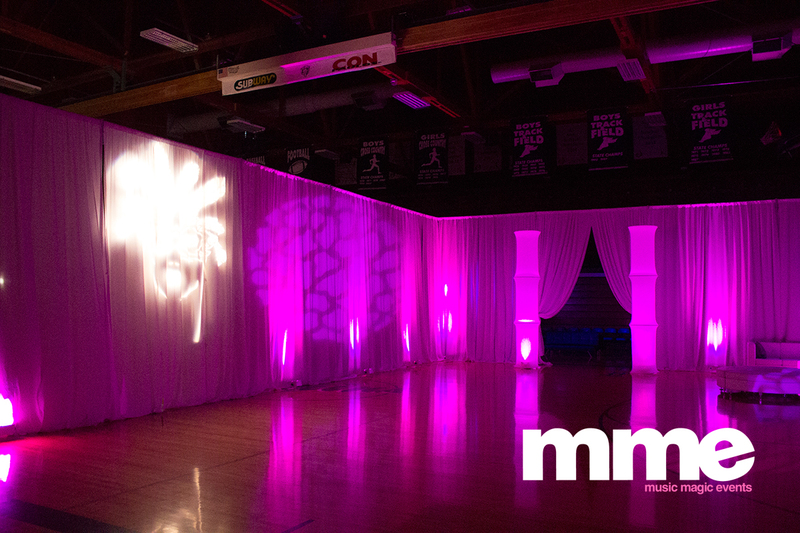 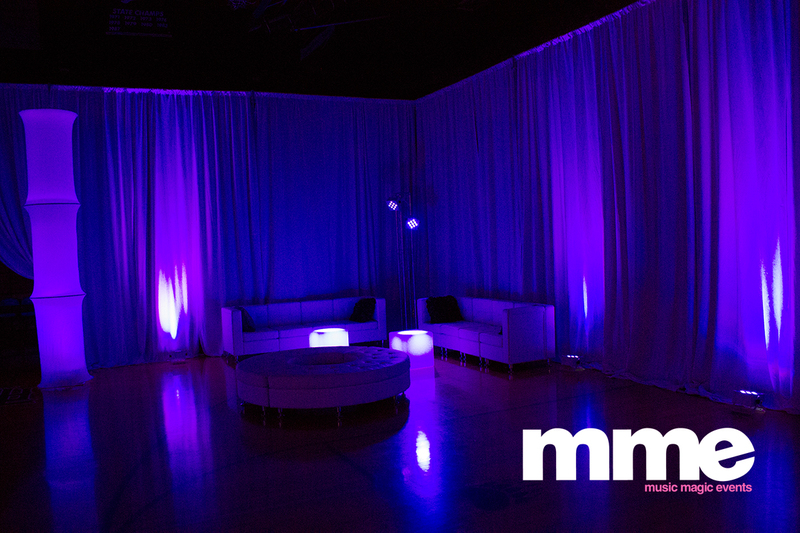 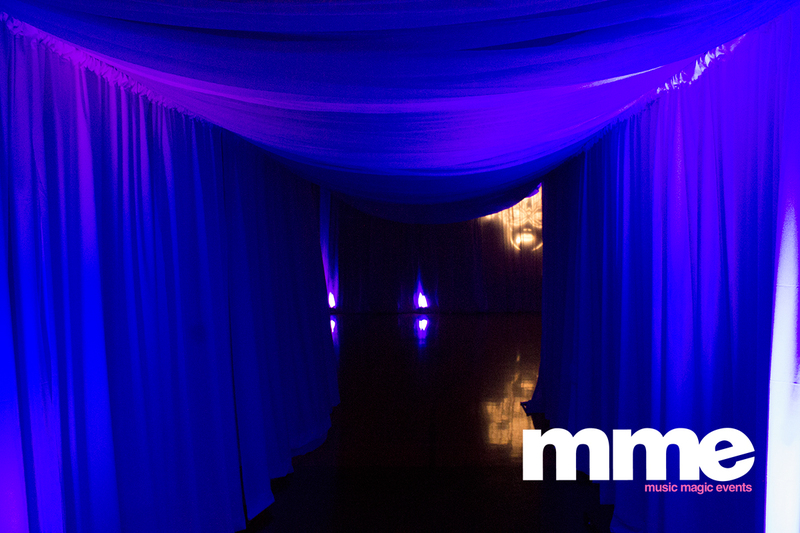 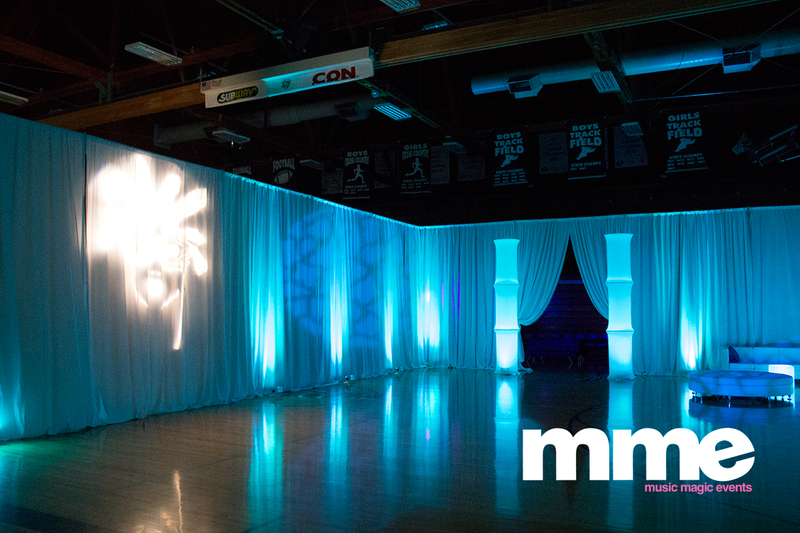 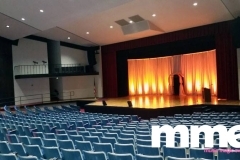 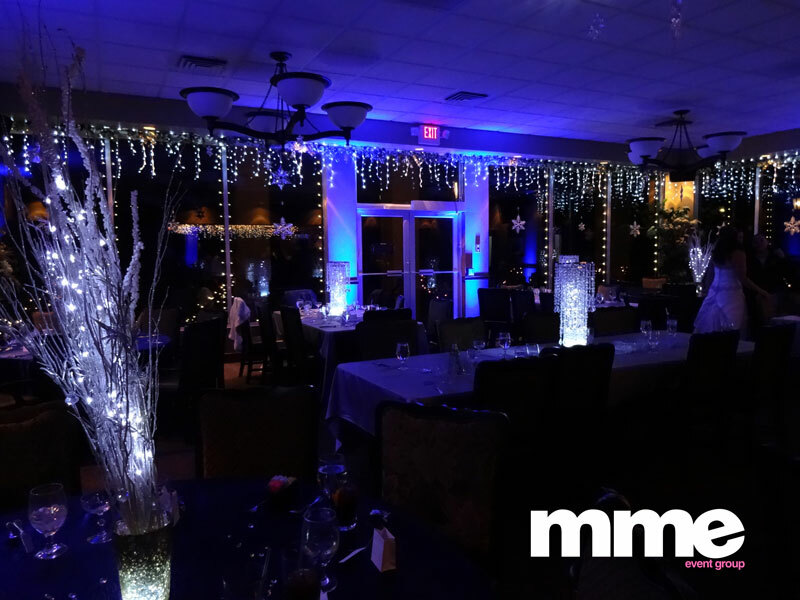 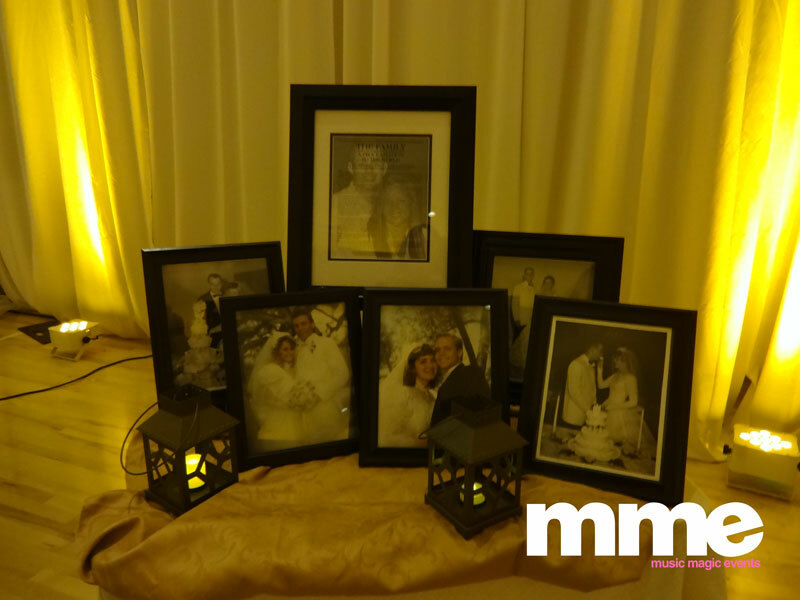 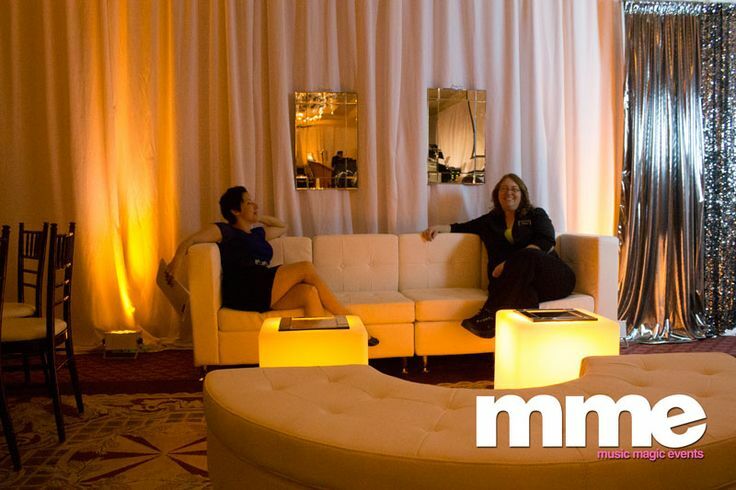 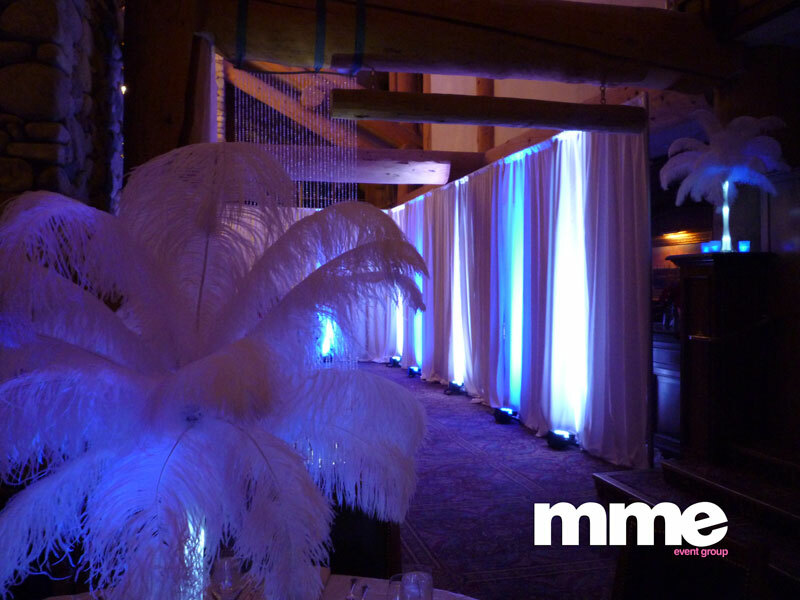 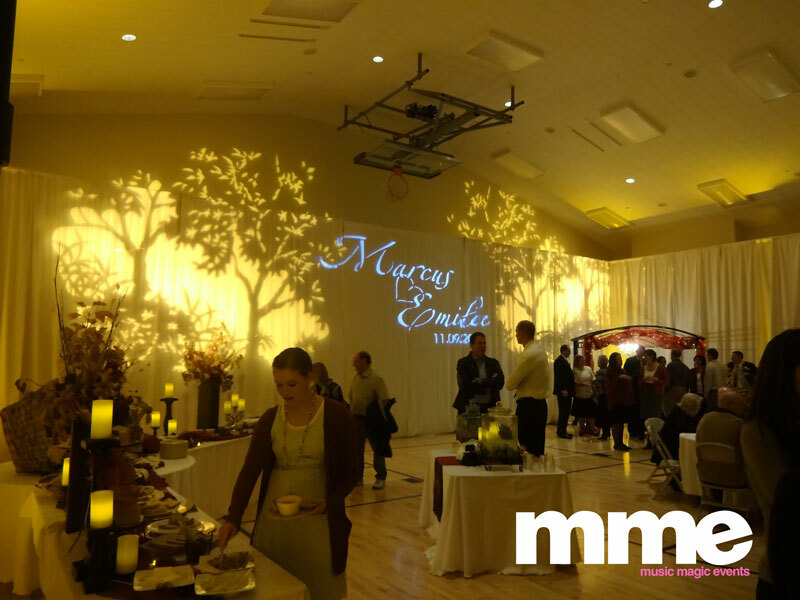 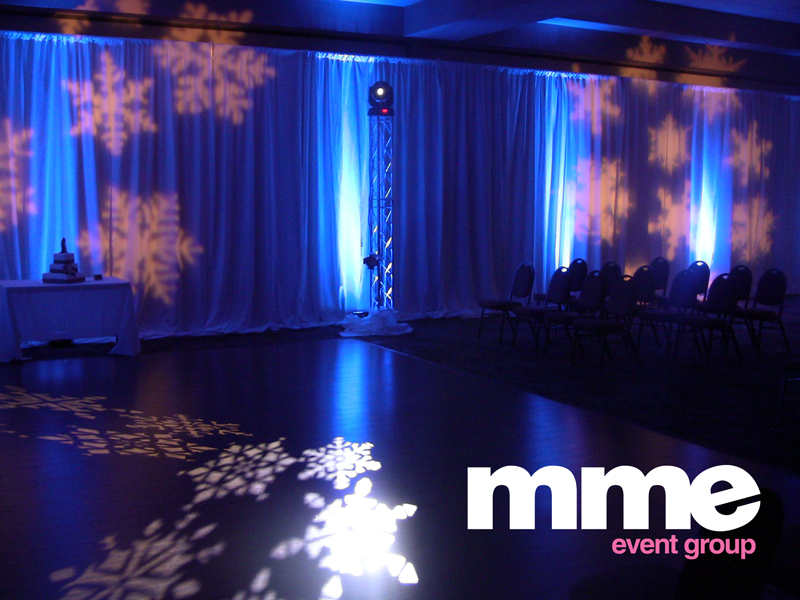 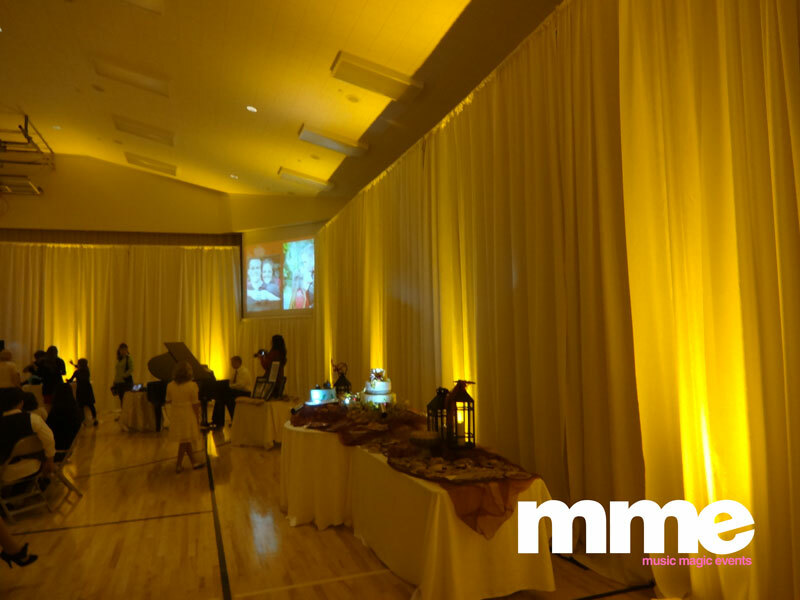 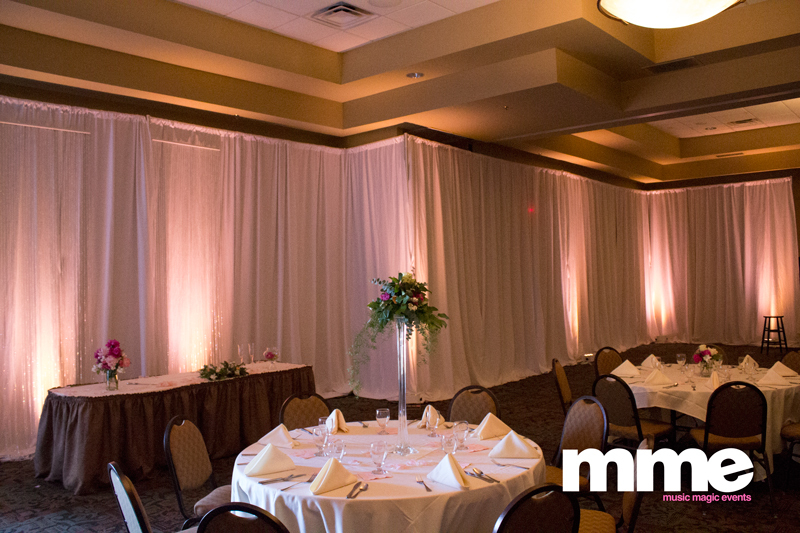 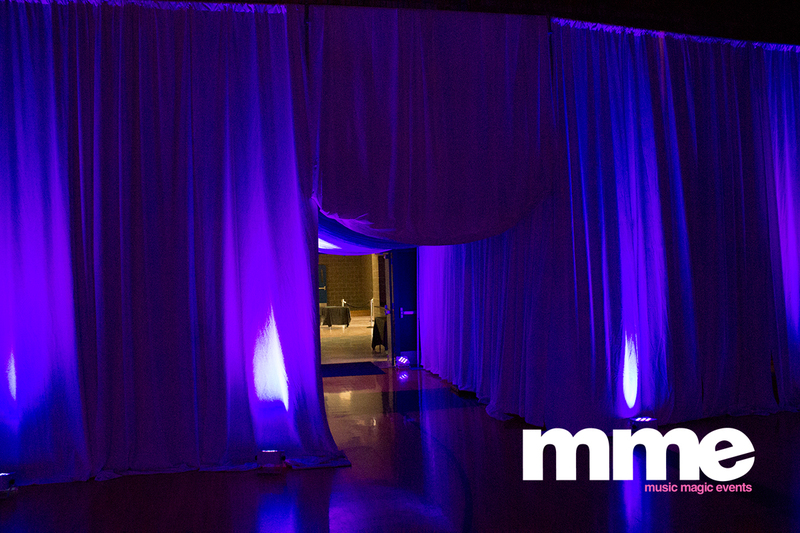 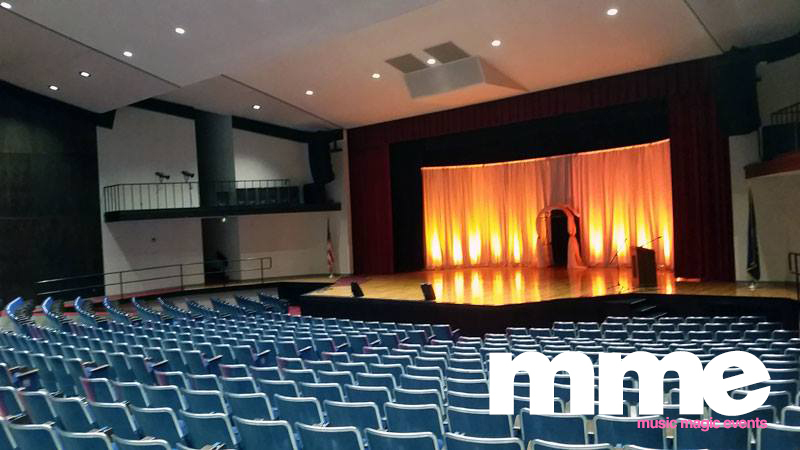 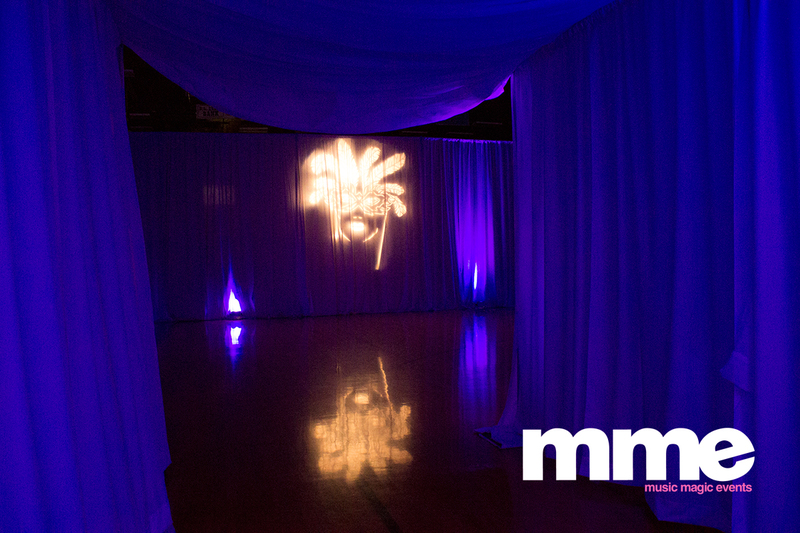 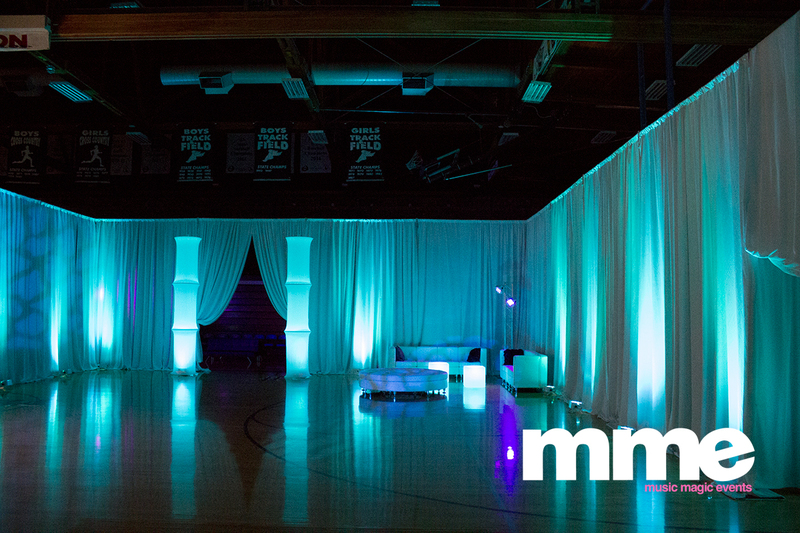 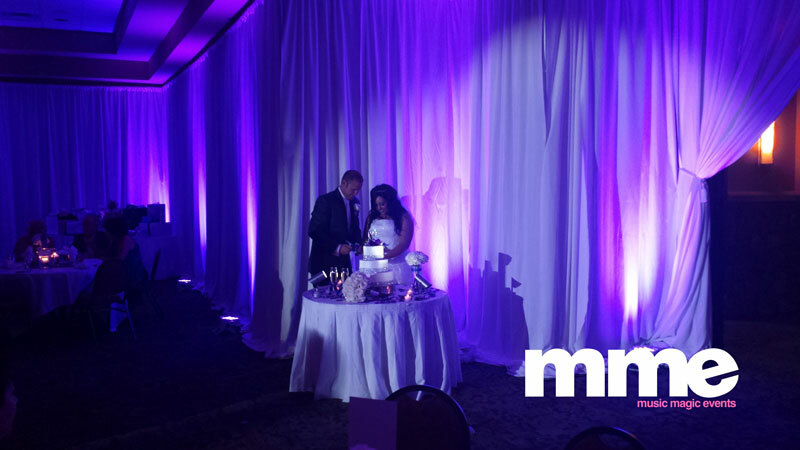 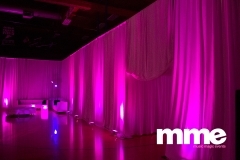 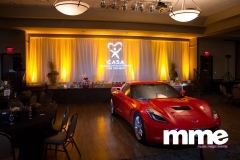 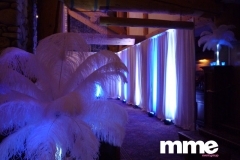 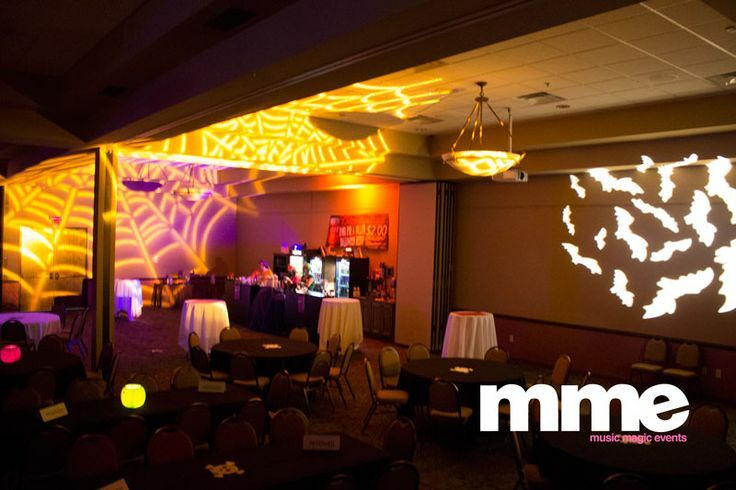 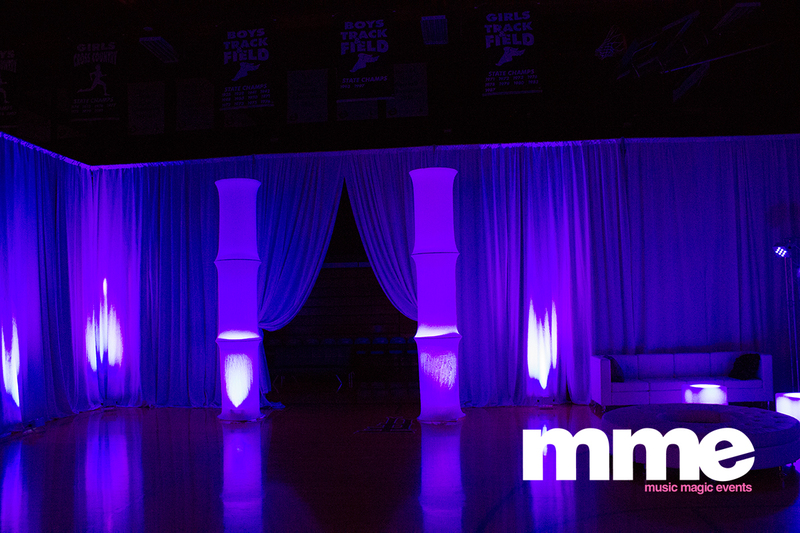 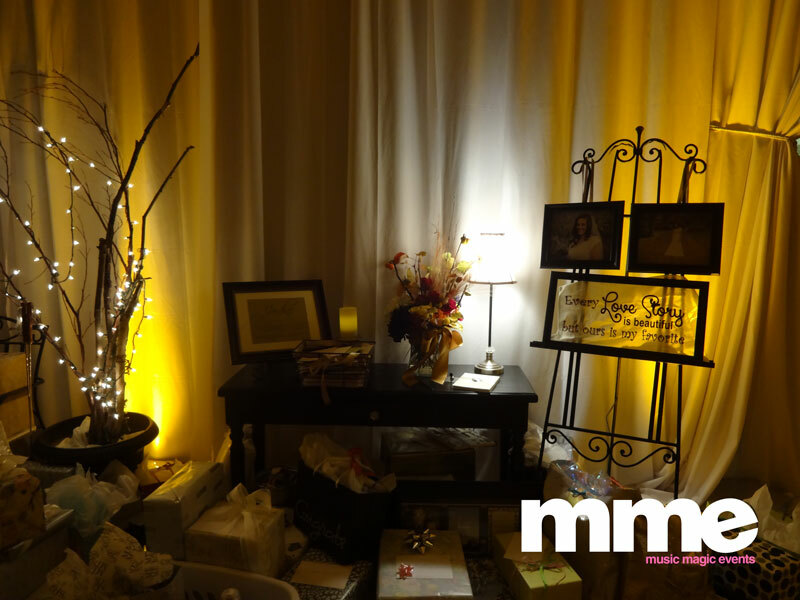 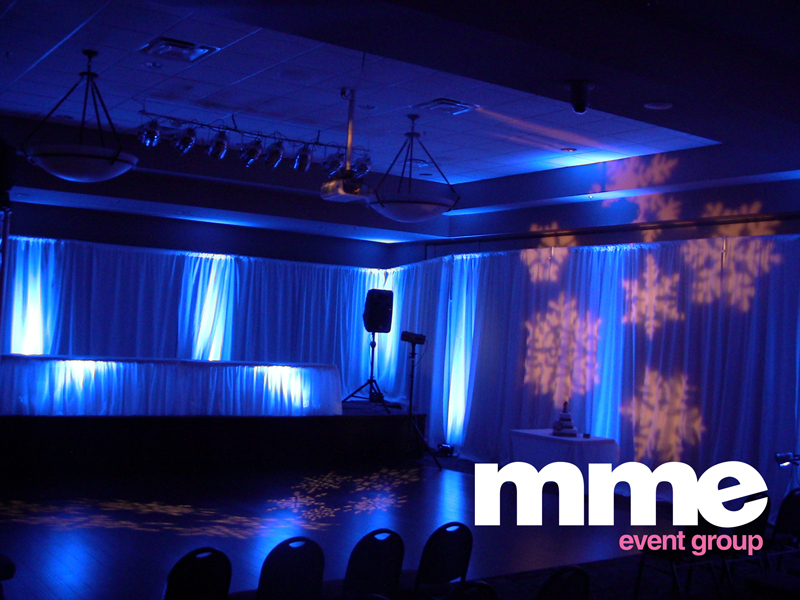 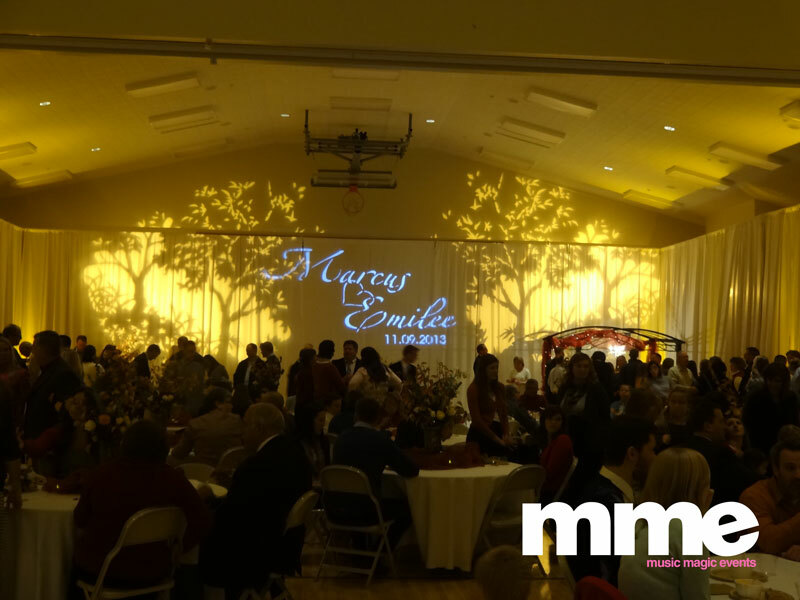 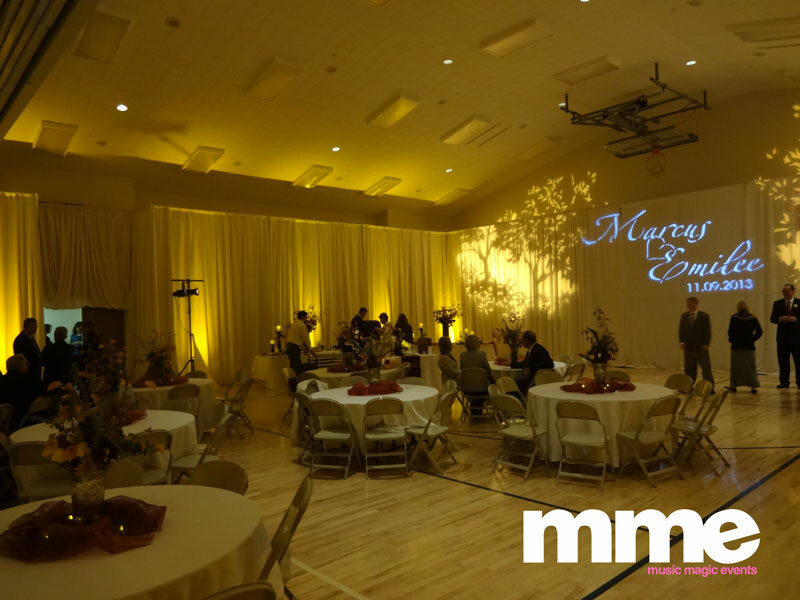 From event draping to linens, chair covers and modular furniture, the decor side of MME can take your event or wedding to the next level. 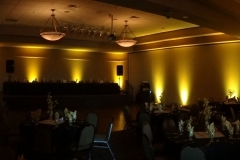 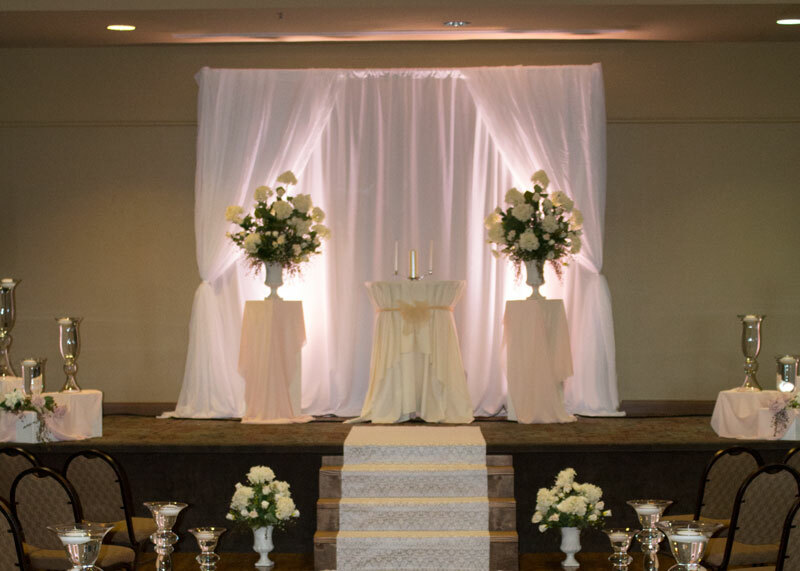 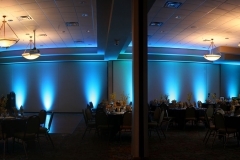 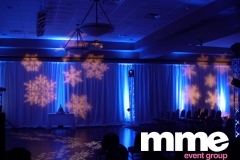 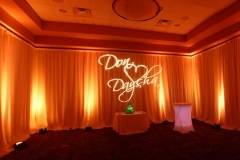 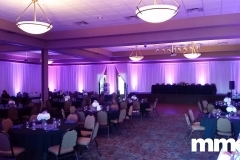 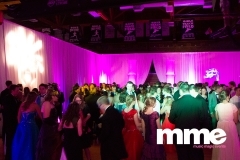 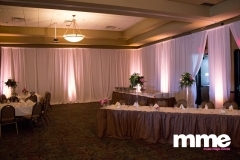 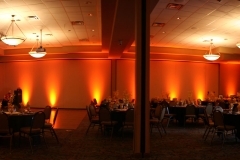 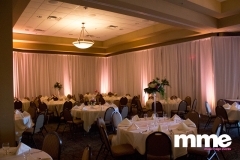 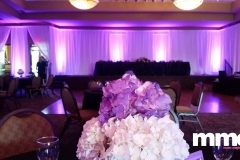 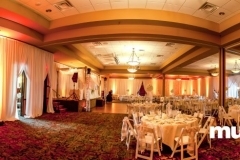 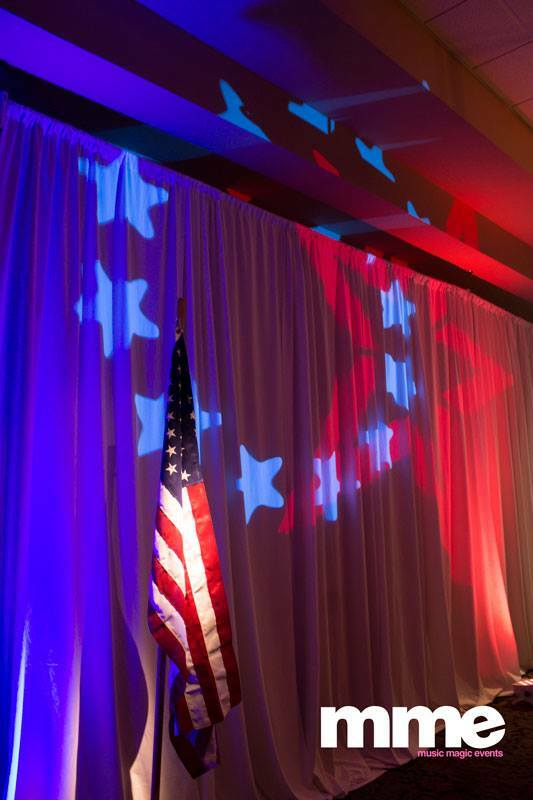 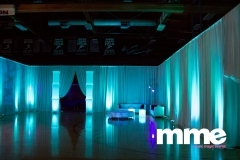 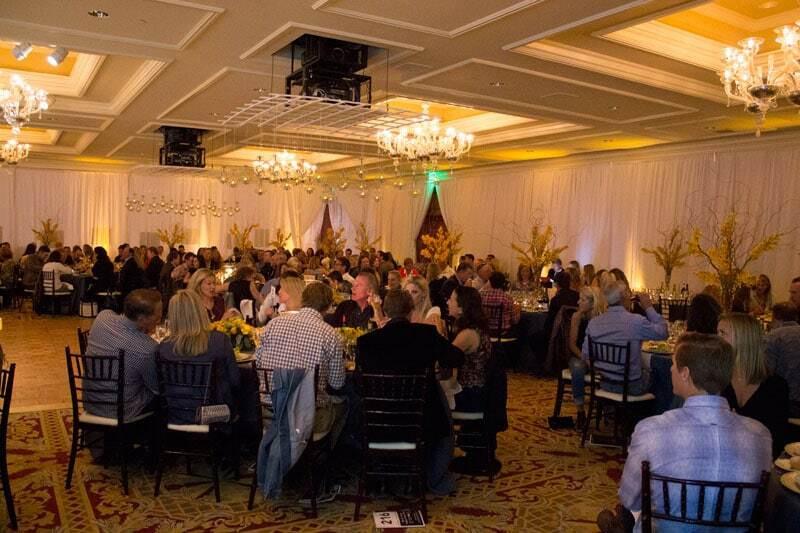 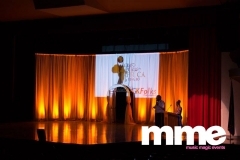 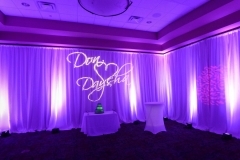 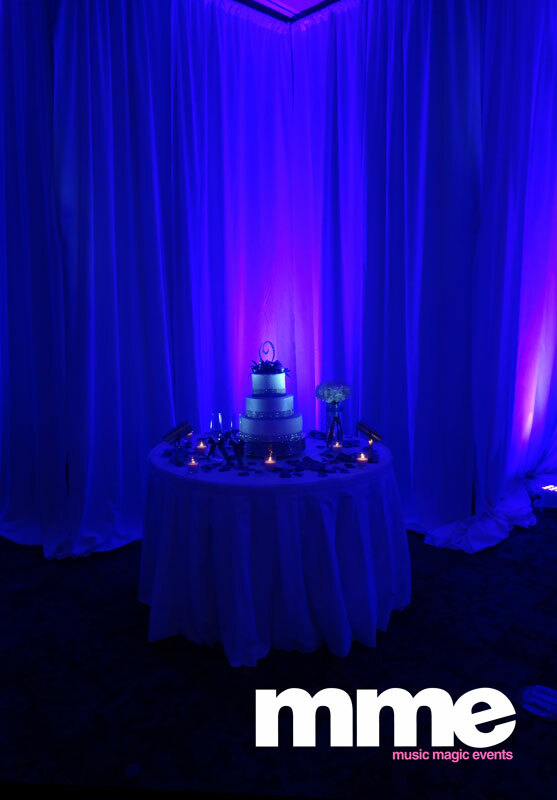 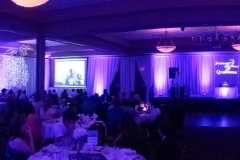 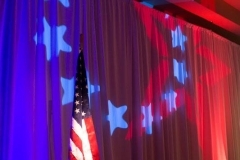 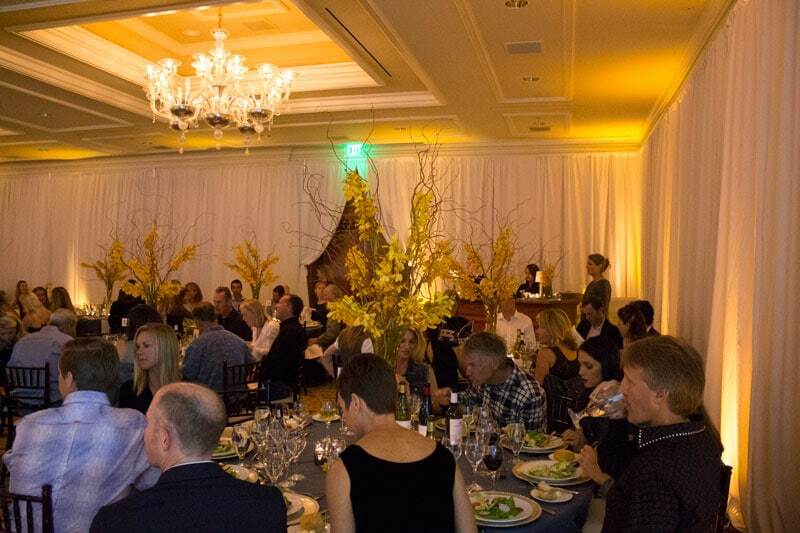 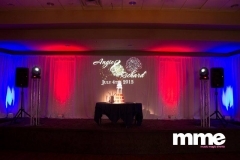 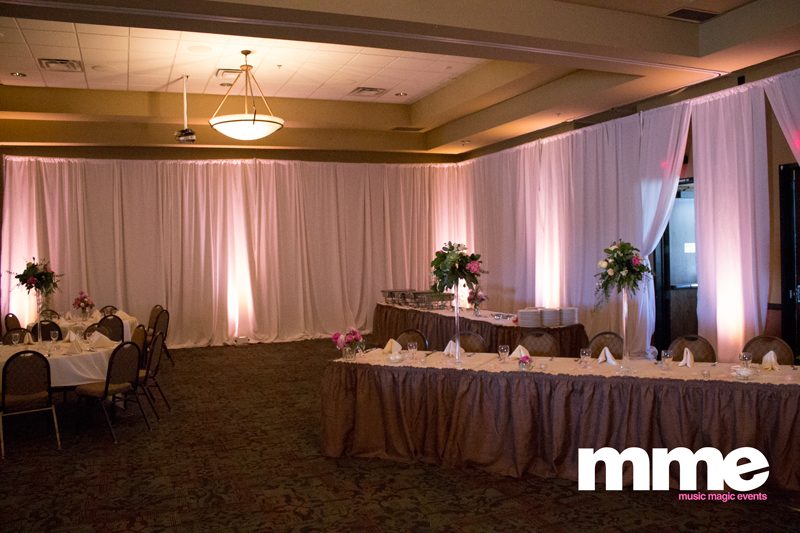 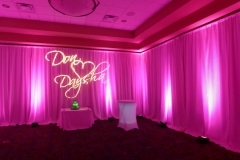 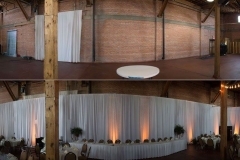 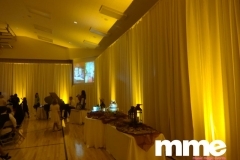 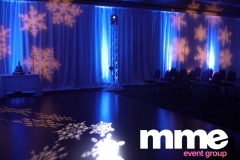 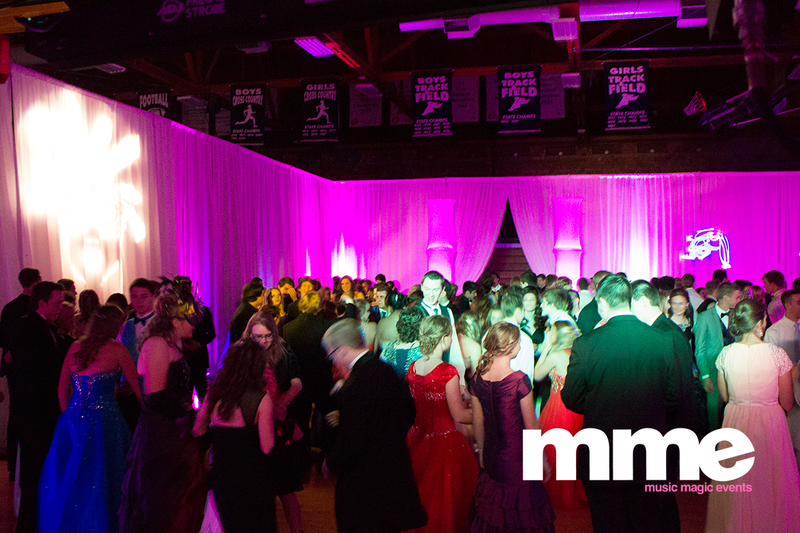 We have invested in the largest selection of draping in Idaho to cover even the largest rooms. 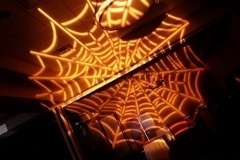 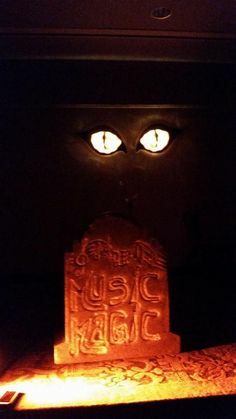 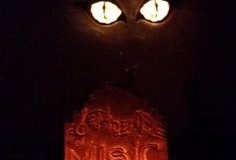 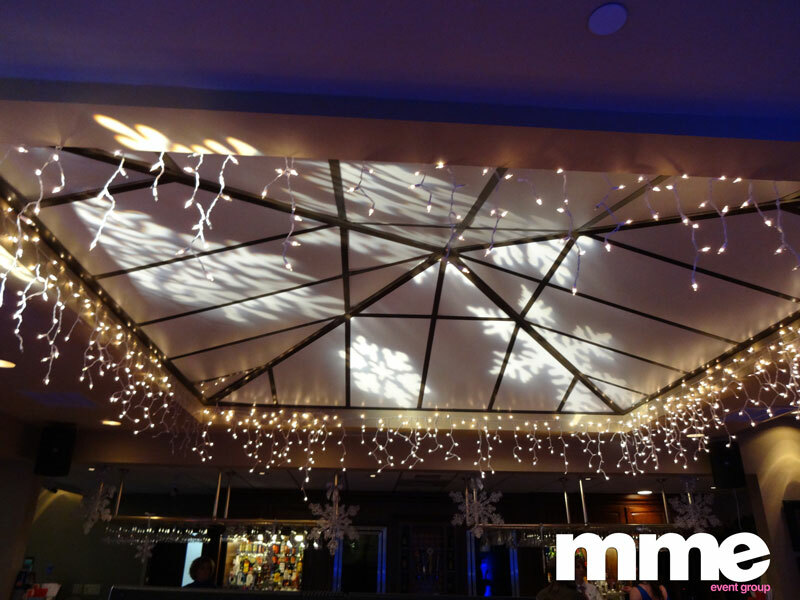 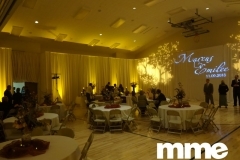 We specialize in lightscaping and lighting design that is transformative. 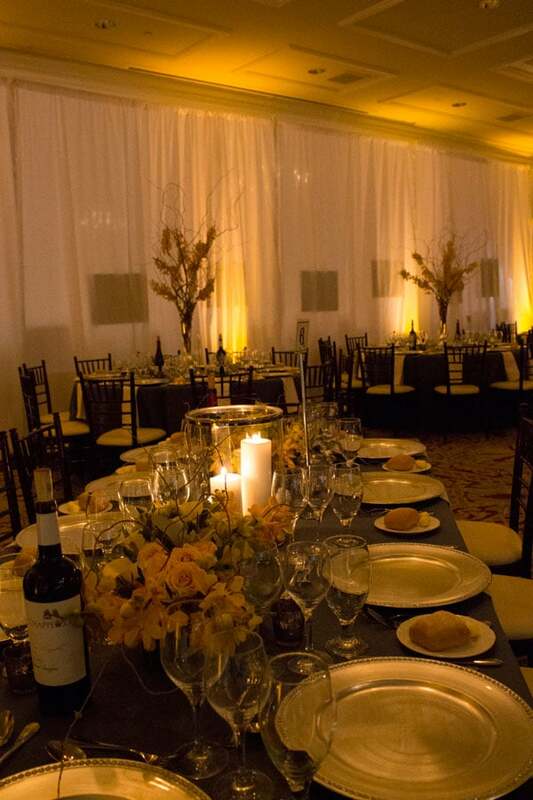 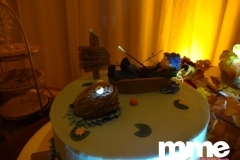 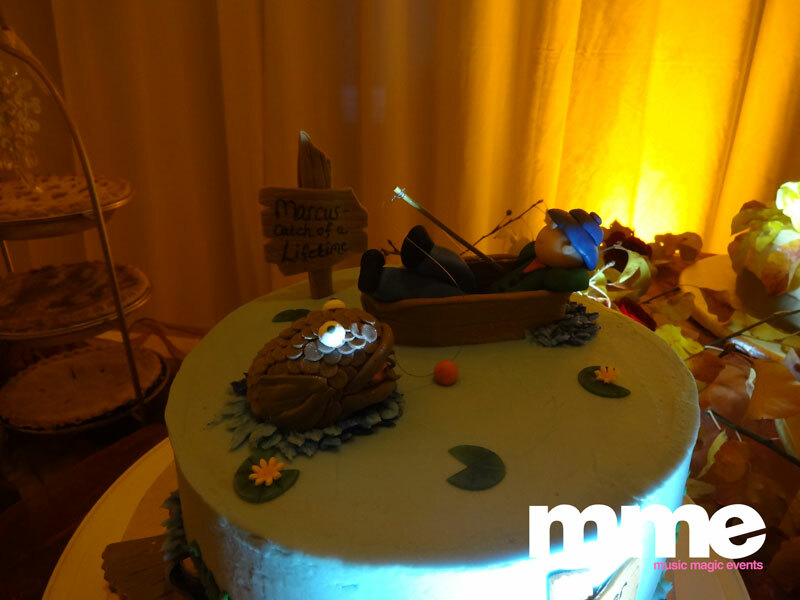 Not forgetting the little things we also have linens, centerpieces and if we don’t have it or can’t get it, our imagineers will create it for you. 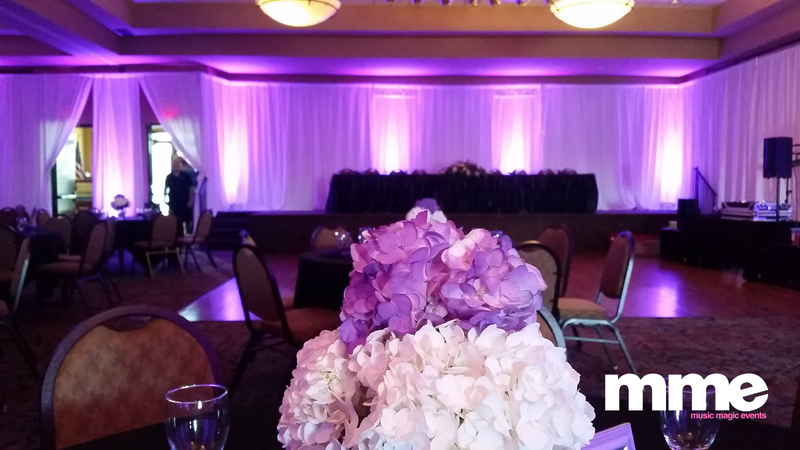 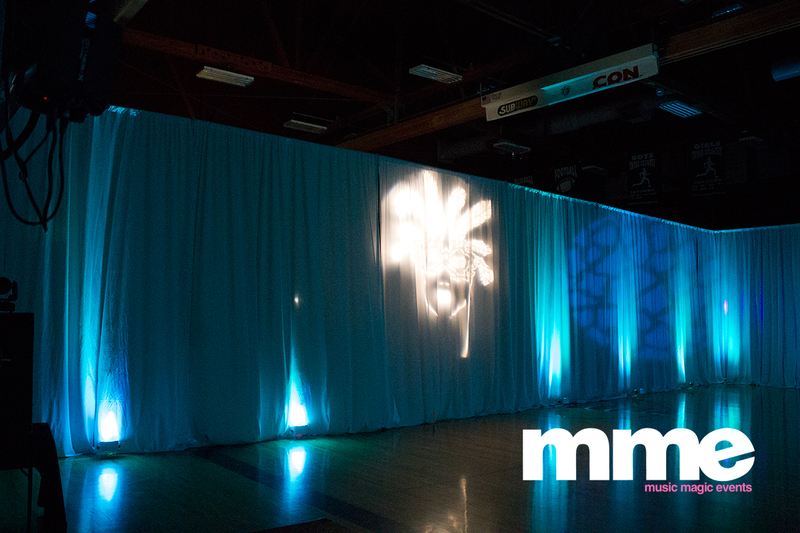 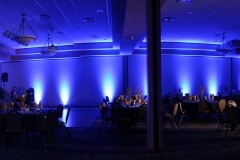 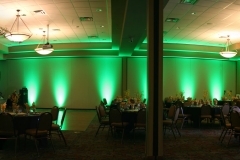 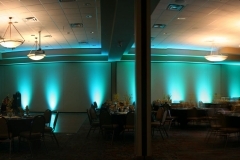 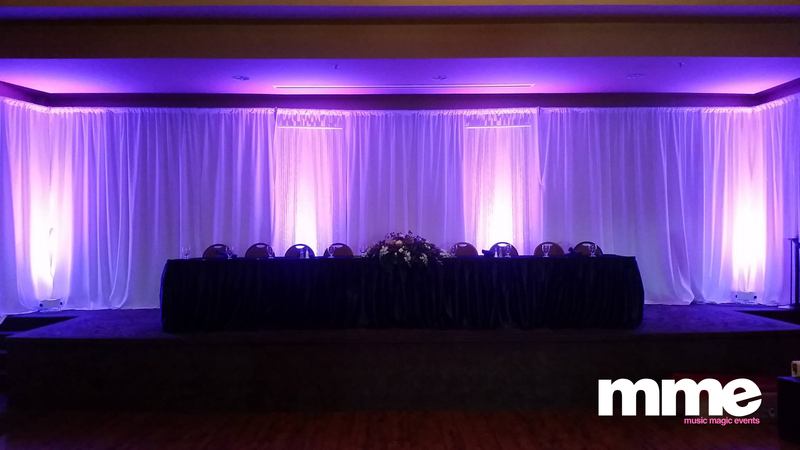 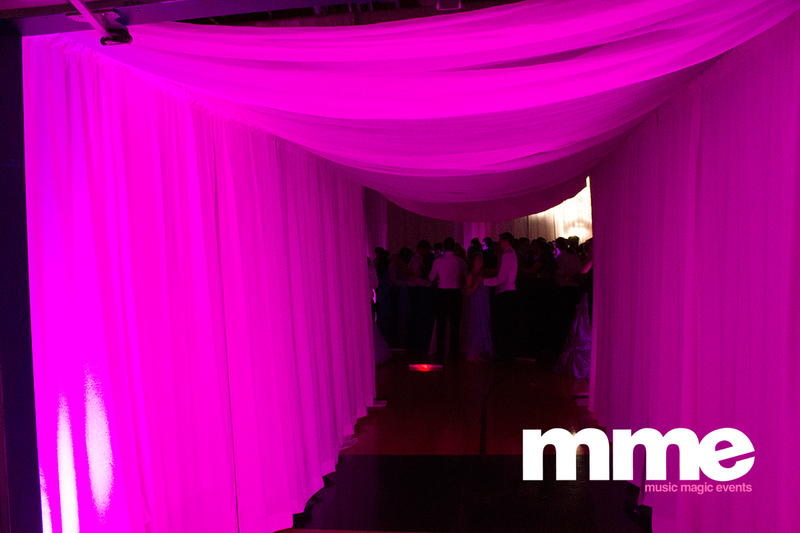 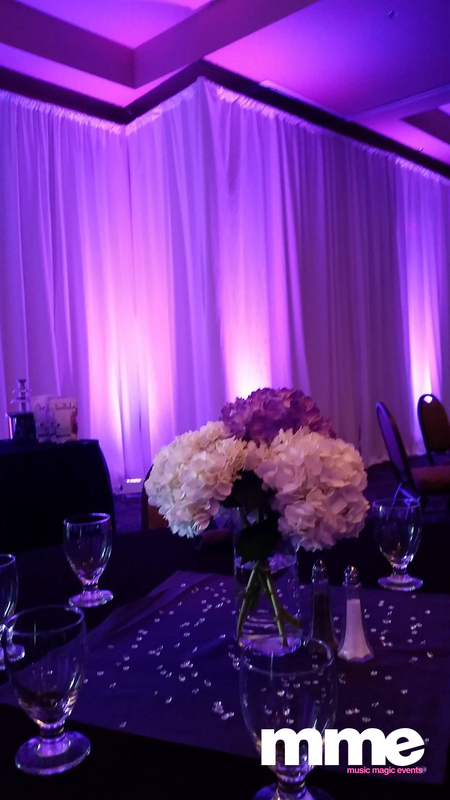 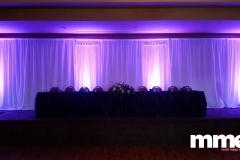 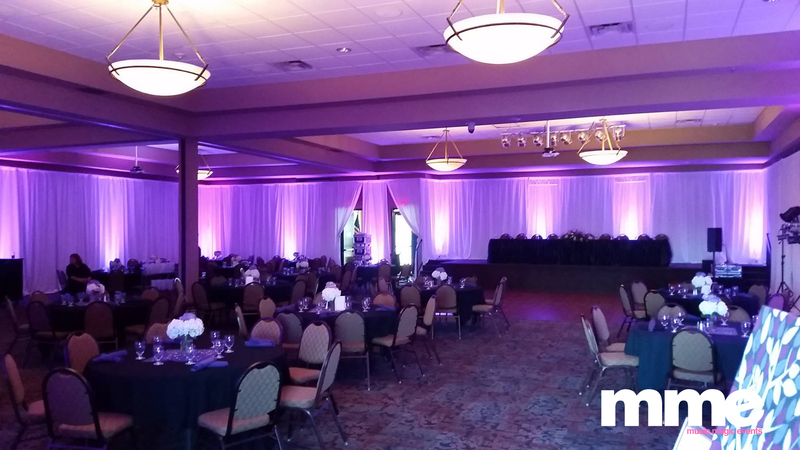 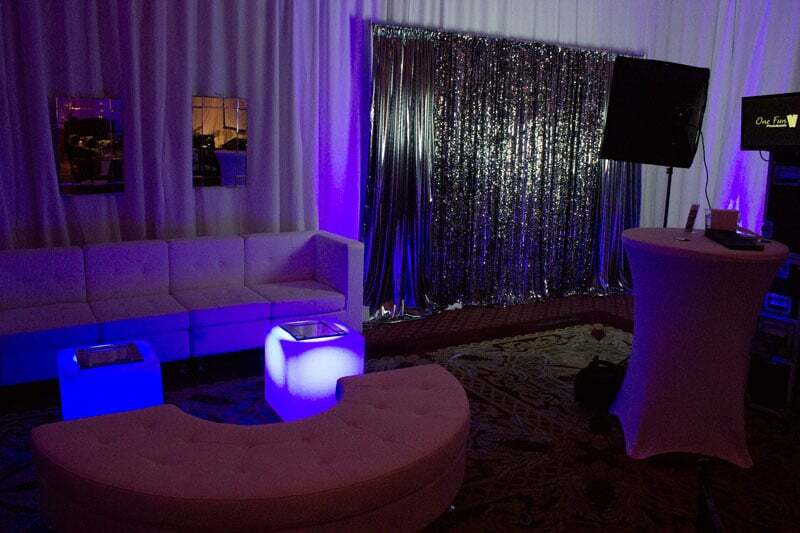 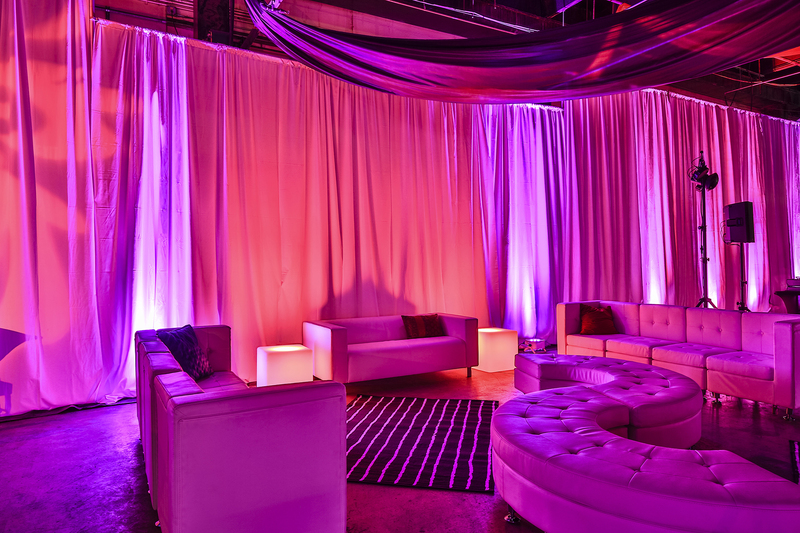 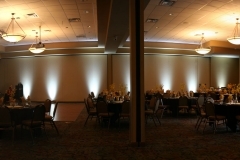 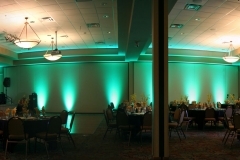 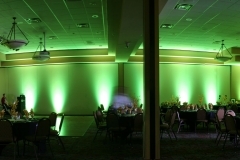 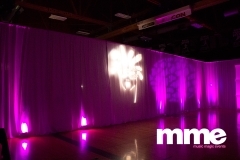 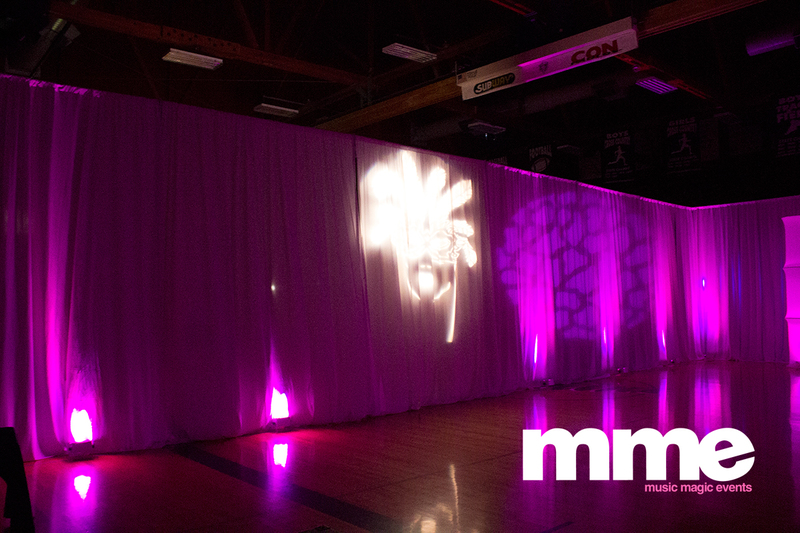 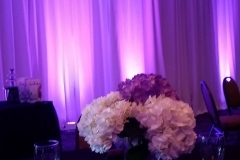 We have been known for a long time for how we can cover ugly walls with our premiere draping services. 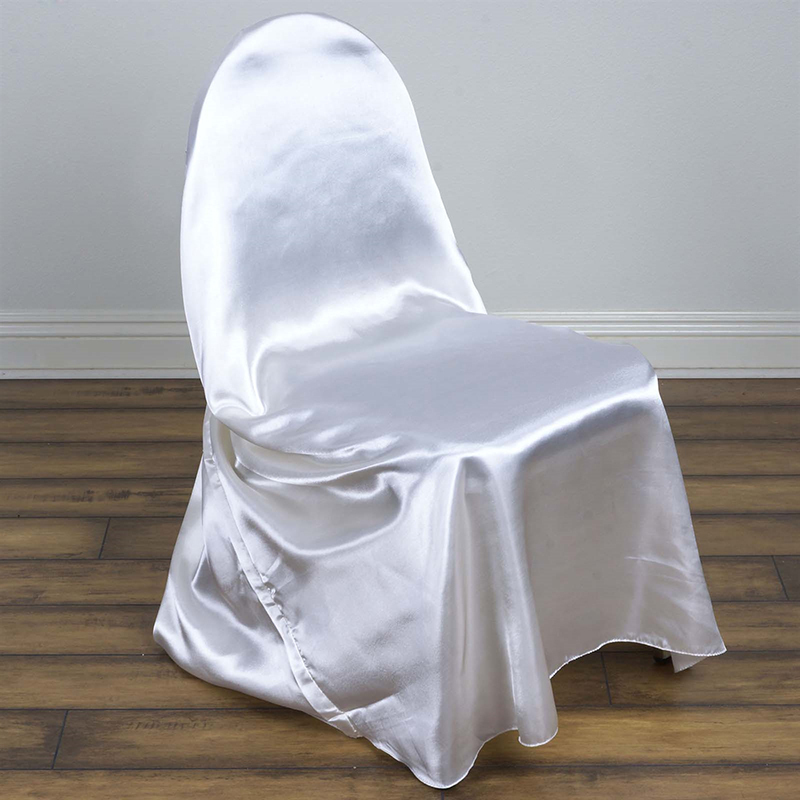 Now let us take care of your chairs. We now offer our clients the ability to make those ugly banquet chairs blend with your vision. 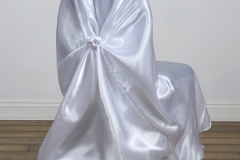 We stock three types of chair covers in our Twin Falls location that services Sun Valley, Pocatello, Burley and all of Southern Idaho. 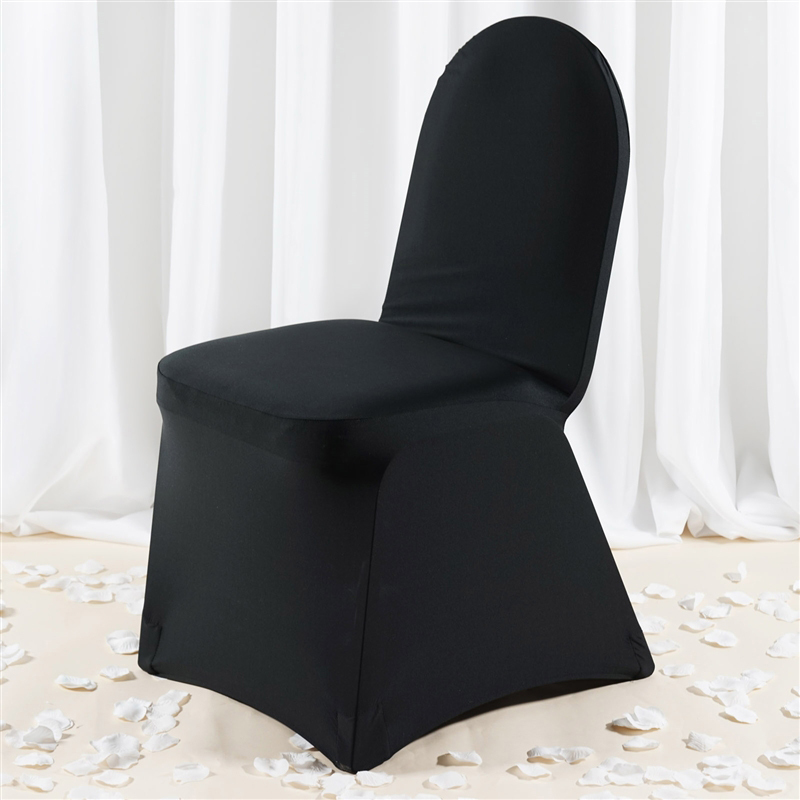 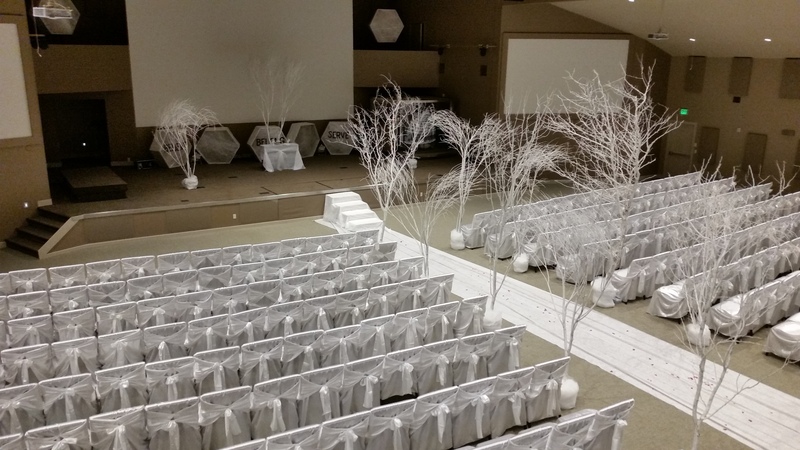 Our spandex covers will cover most any banquet style chair and come in both black and white. 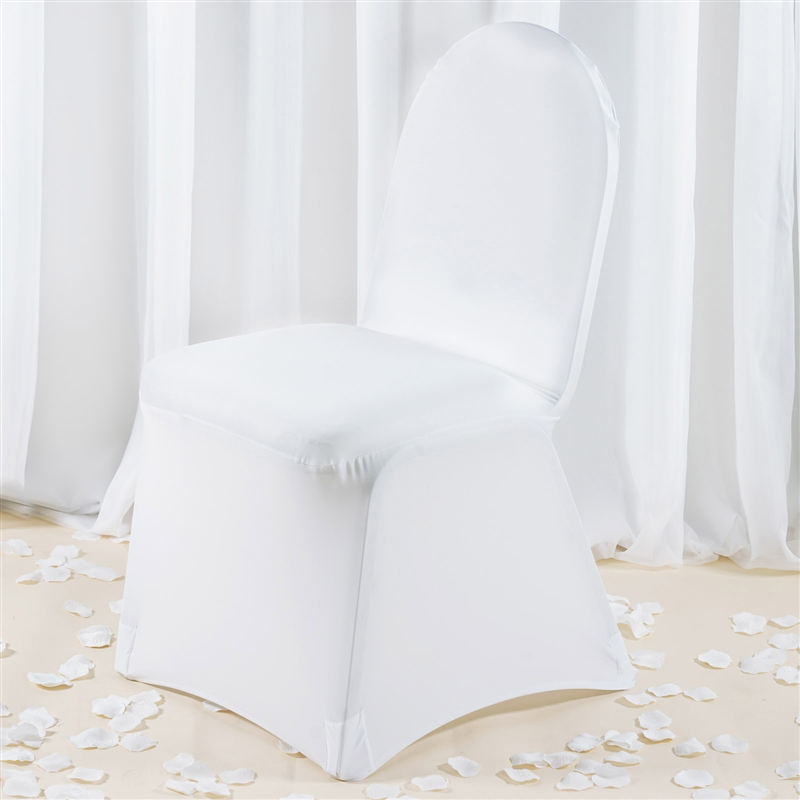 We have a white slip-on type chair cover that also fits banquet chairs. 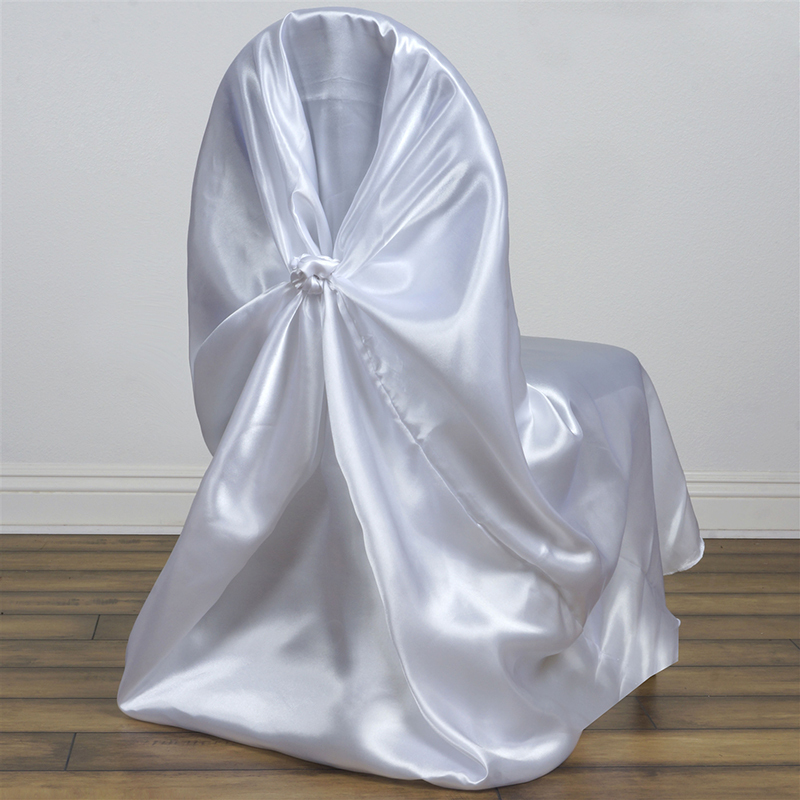 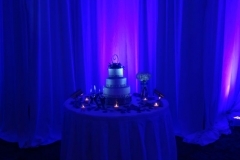 Lastly, we have our “jumbo” chair covers that are a rich satin and can cover wide chairs as you would find in a church. 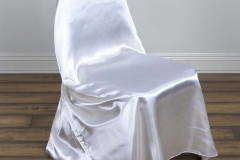 These covers also come with a box tie-back. 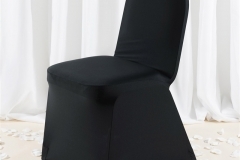 All in-stock and at our show-room. 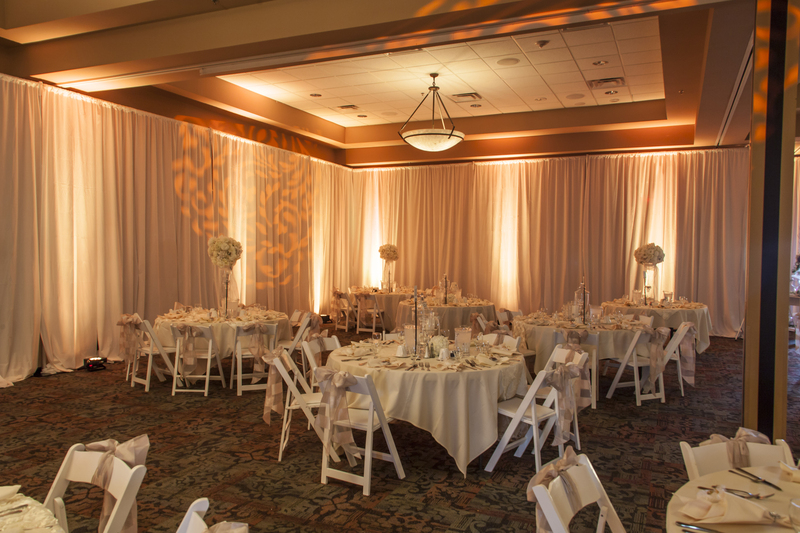 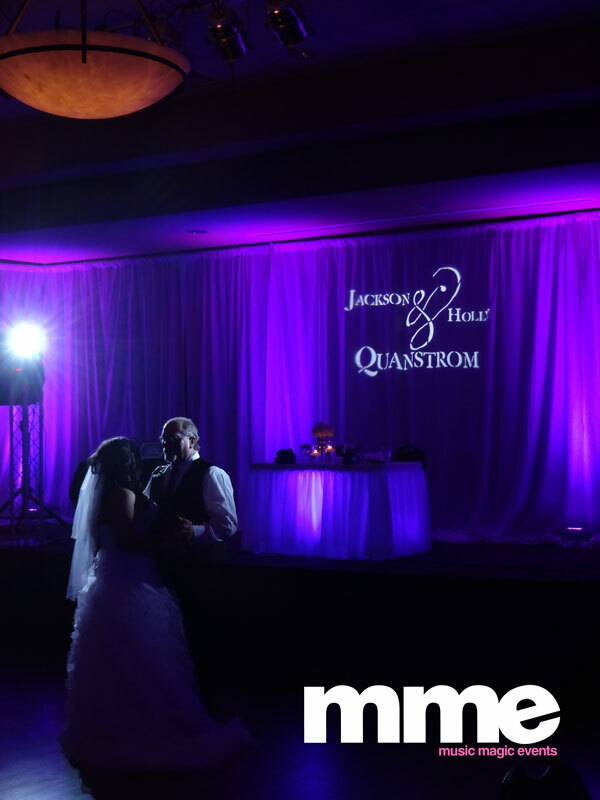 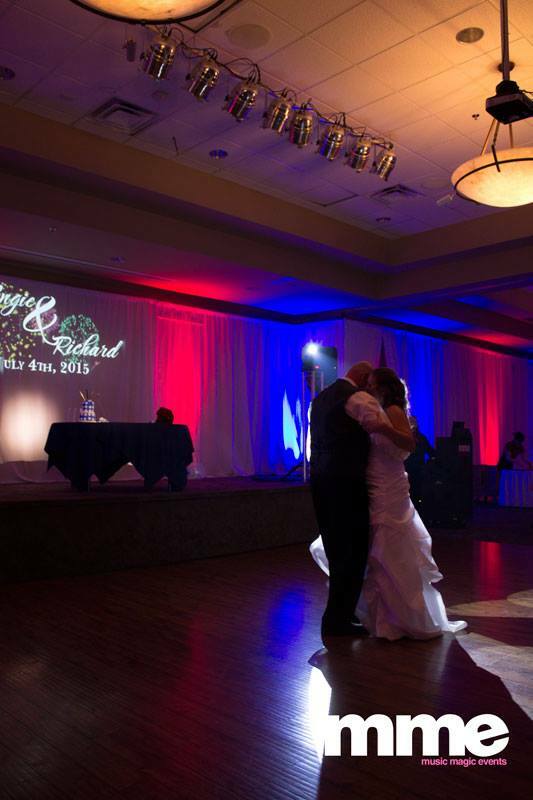 The elegance of an indoor ballroom can be brought outside with our white dance floor. 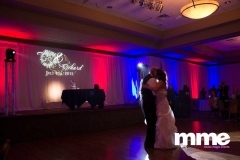 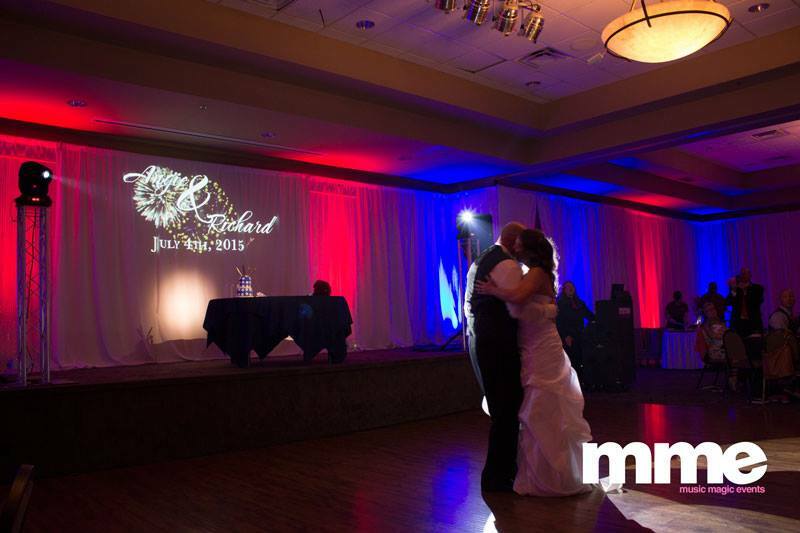 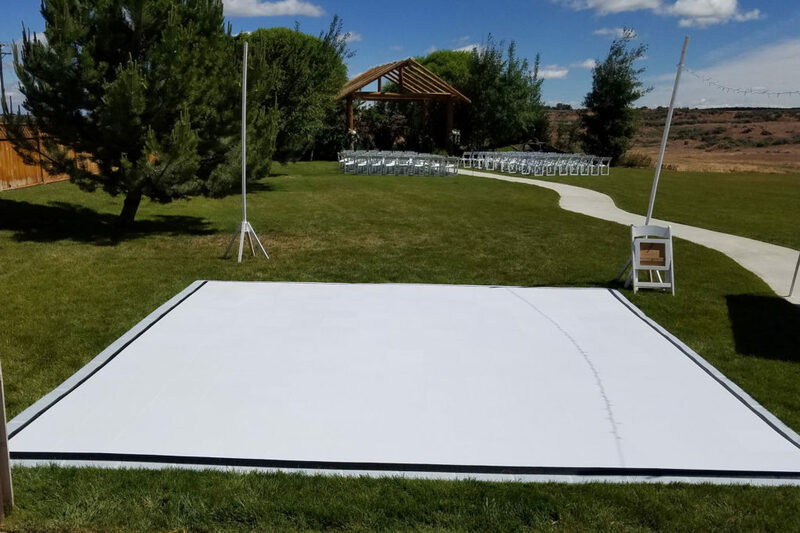 Our 15’x15′ white dance floor can be setup on any flat ground even on a lawn or deck and it will give your guests a place they can dance the night away. 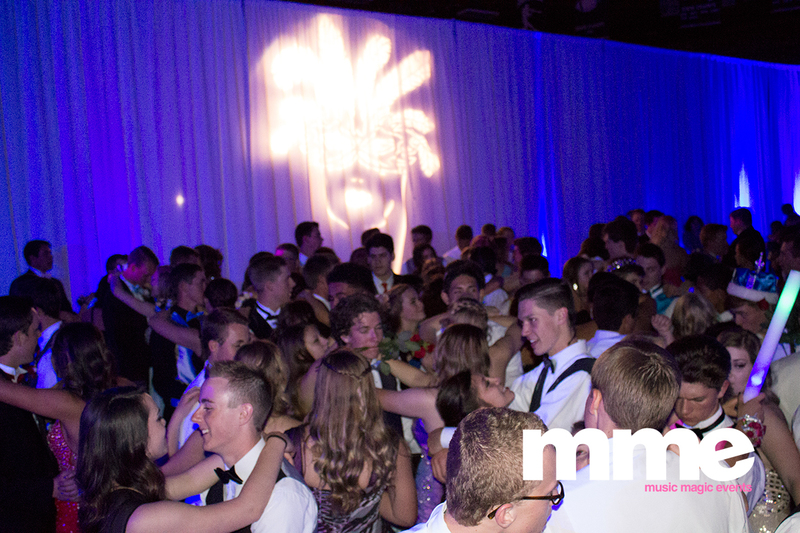 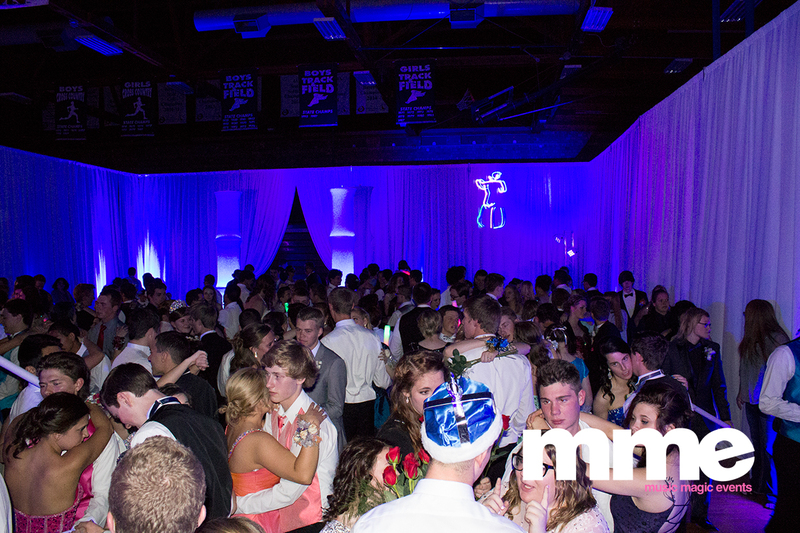 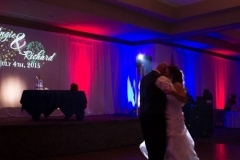 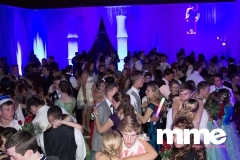 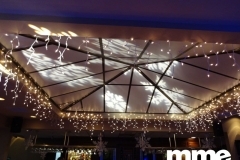 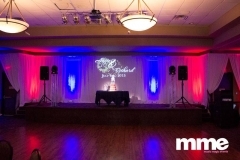 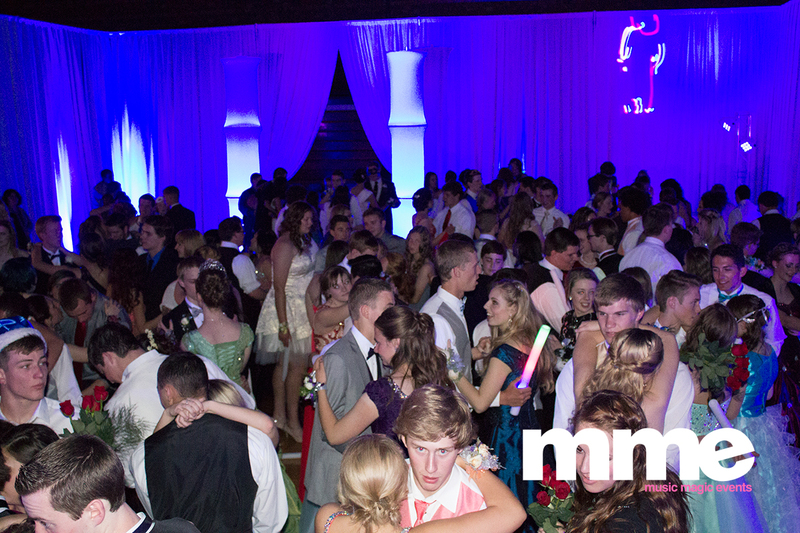 Unlike some dance floors that you can rent that are made exclusively for indoors that are uneven and fall apart, our dance floor can be setup indoors and outdoors using a special matching underfloor that is manufactured for the use on lawn and grass. 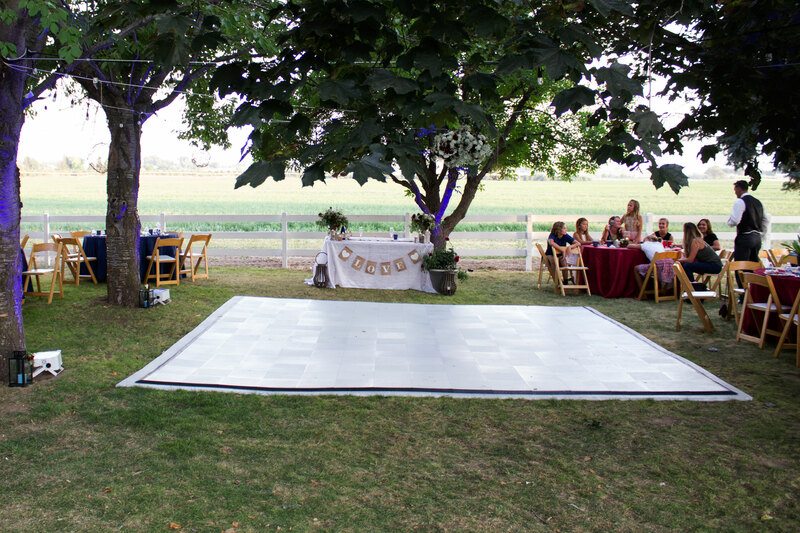 This keeps your guests from tripping, the floor from falling apart, the little ones from getting slivers off of plywood and gives everyone a much safer place to kick their heels up. Also as an option, we can brand or place your logo in the middle of the floor to add that extra touch. 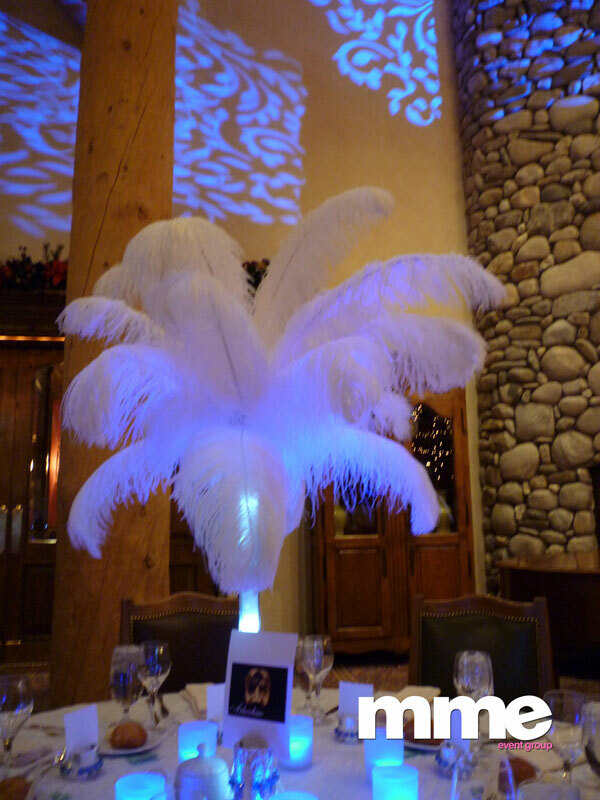 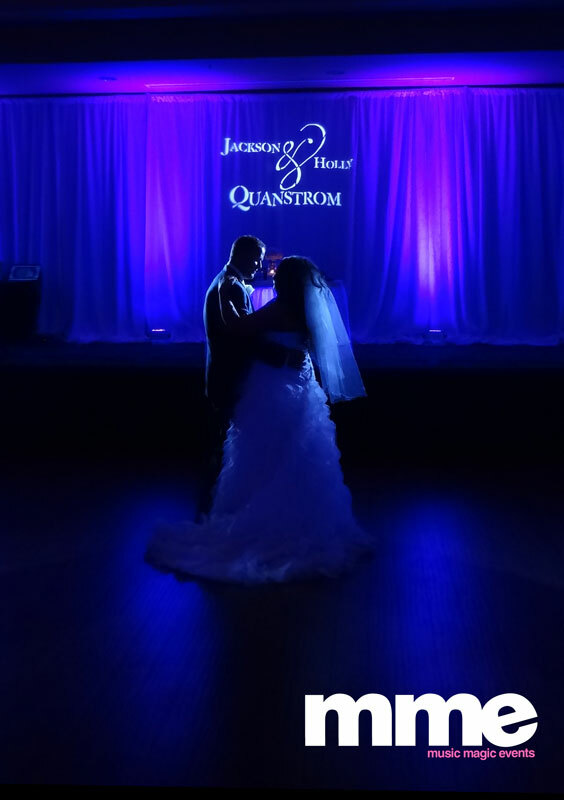 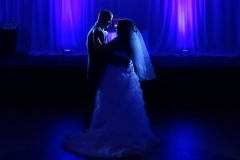 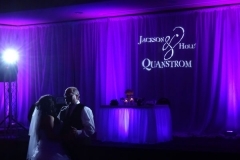 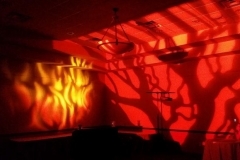 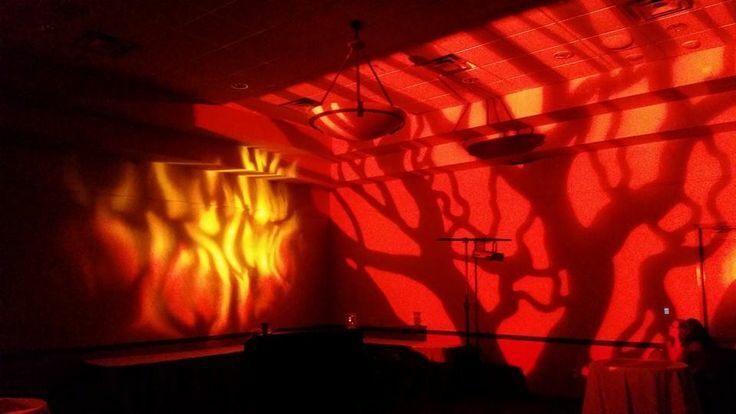 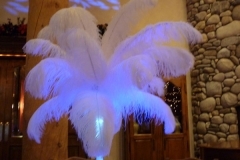 We can transform your venue, your stage, your yard with the magic of light. 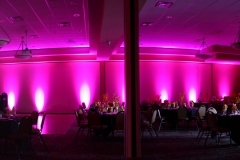 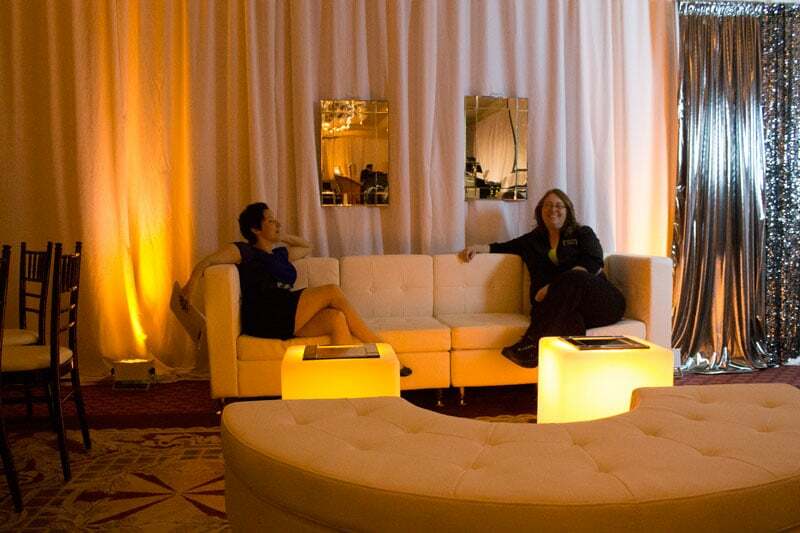 Our lighting engineers and design staff can create the perfect style and mood you are looking for. 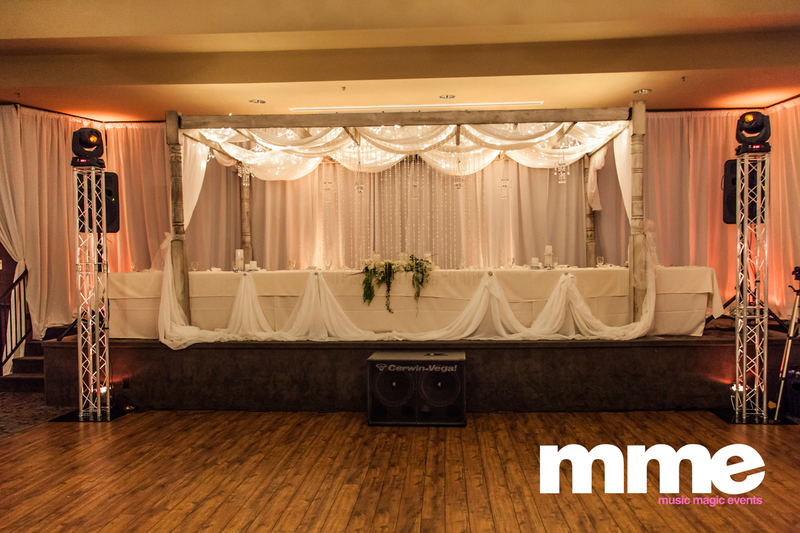 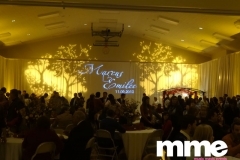 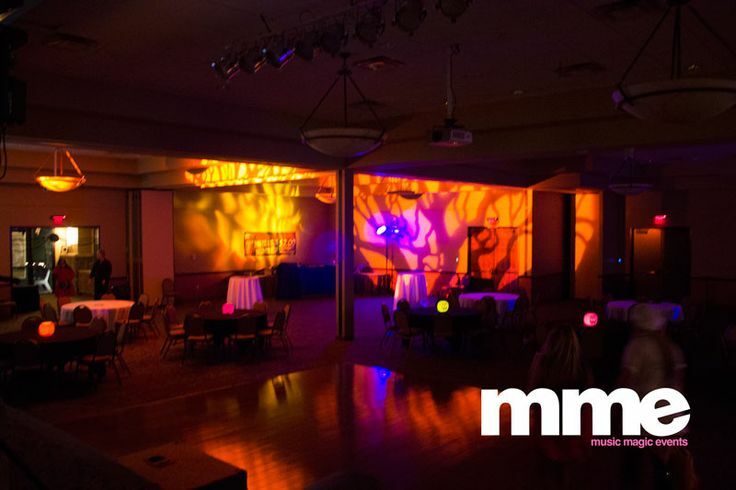 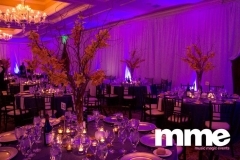 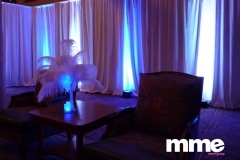 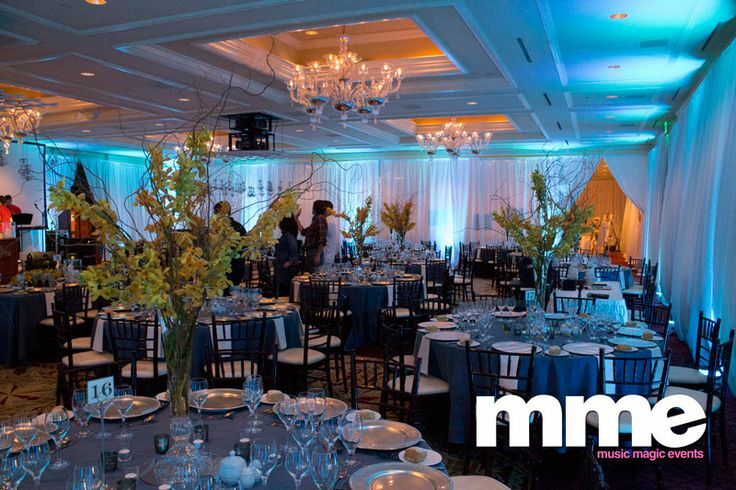 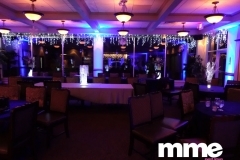 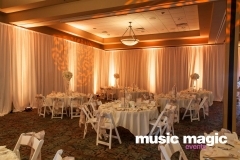 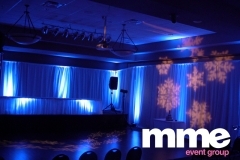 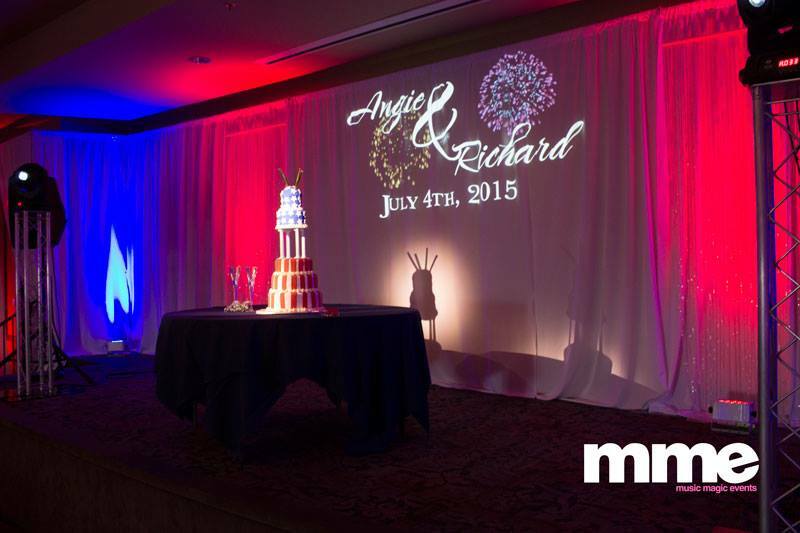 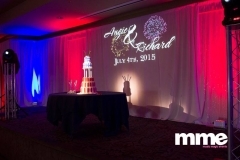 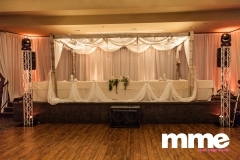 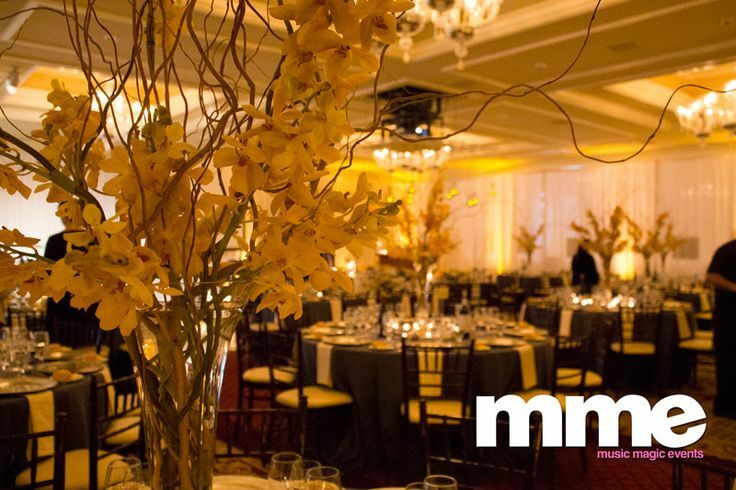 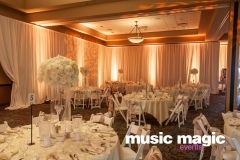 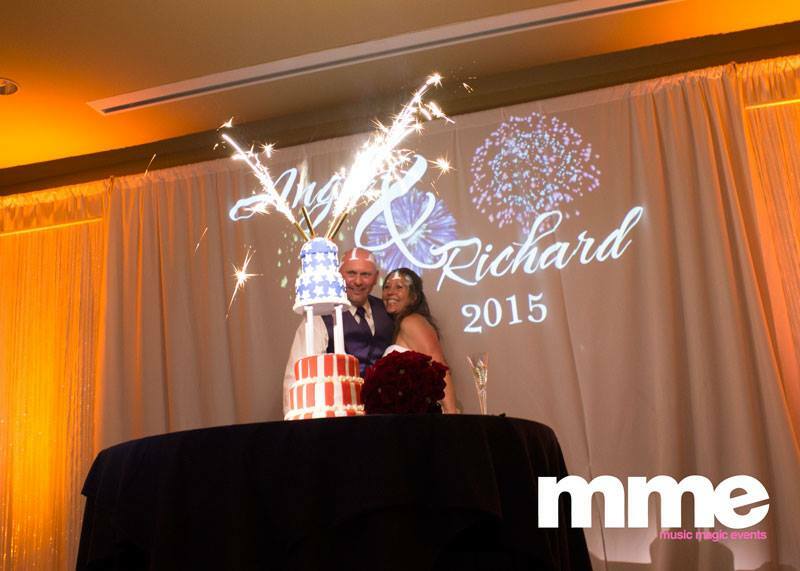 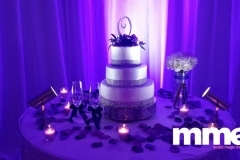 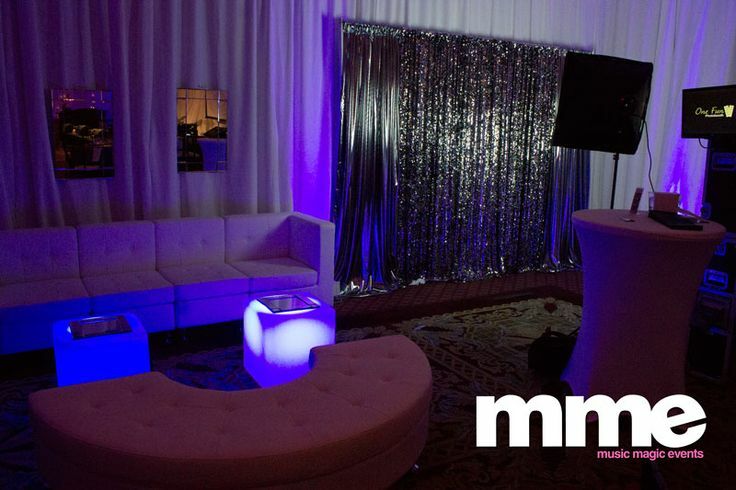 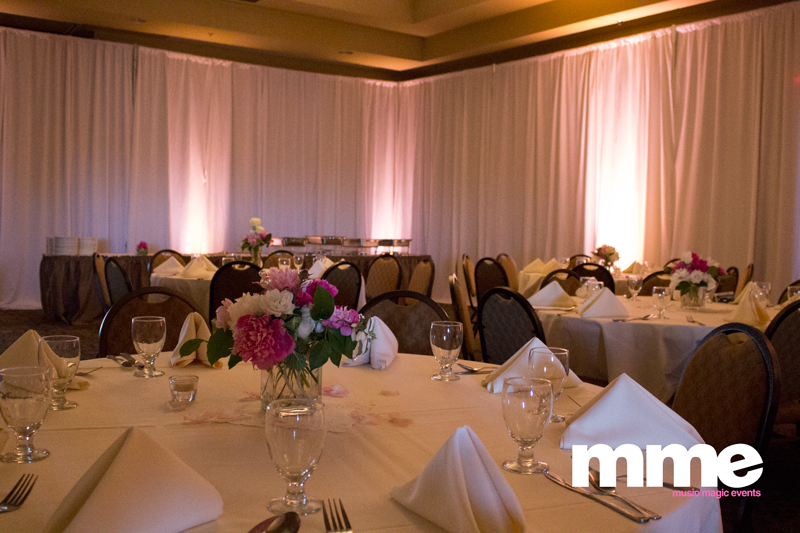 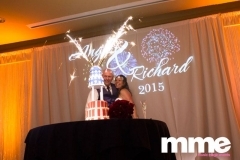 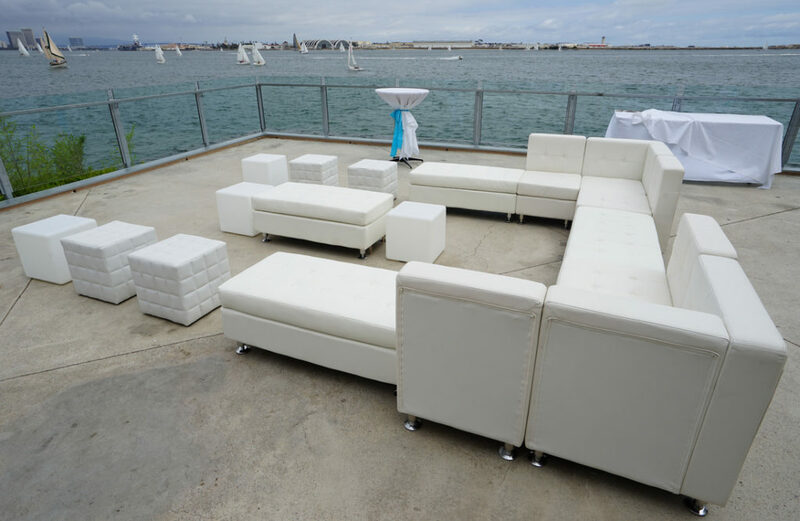 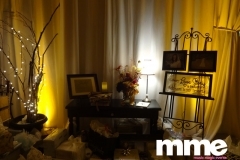 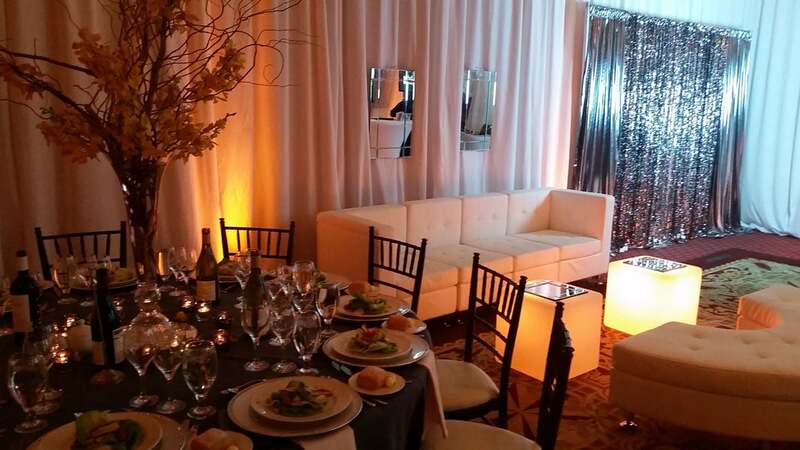 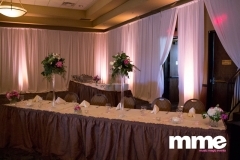 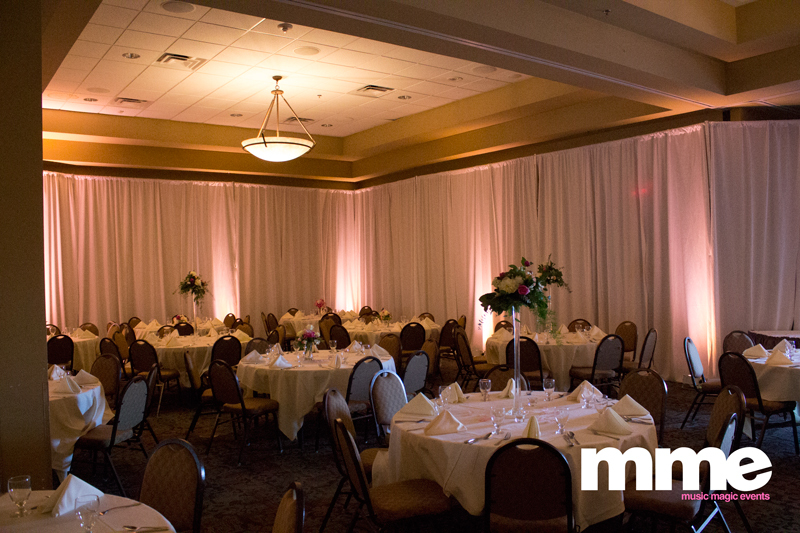 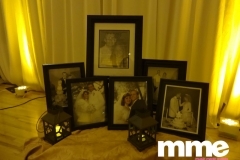 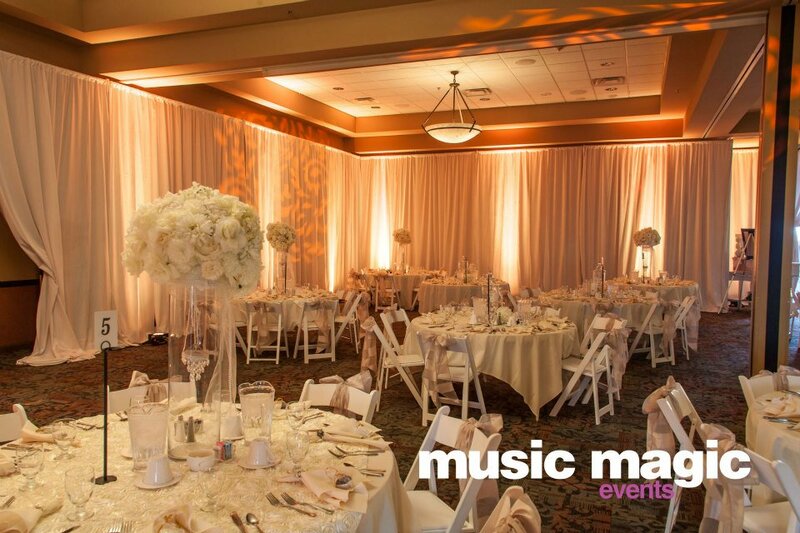 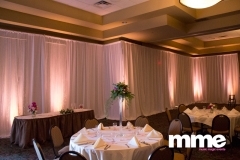 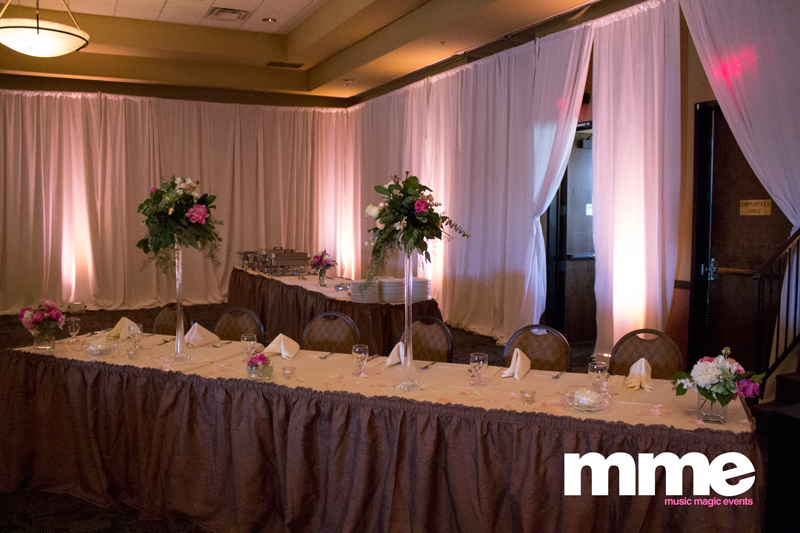 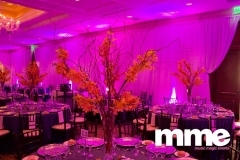 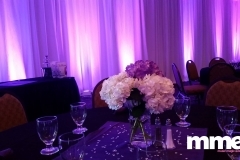 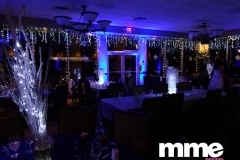 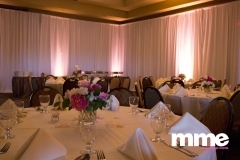 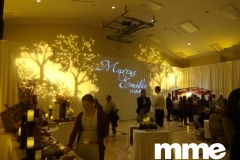 MME now rents tables, linens and chairs for weddings and events.